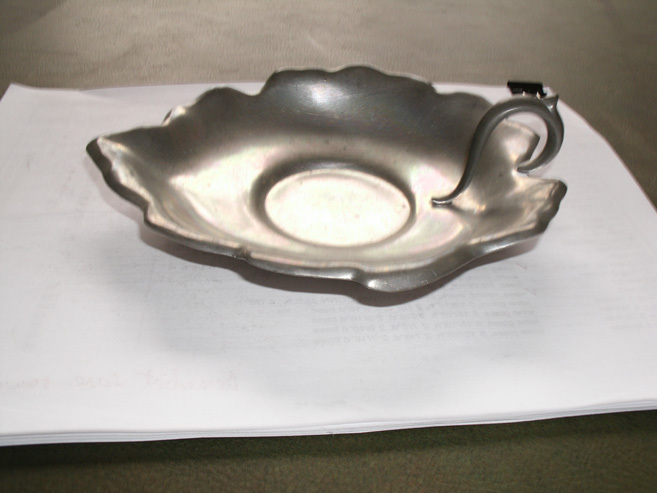 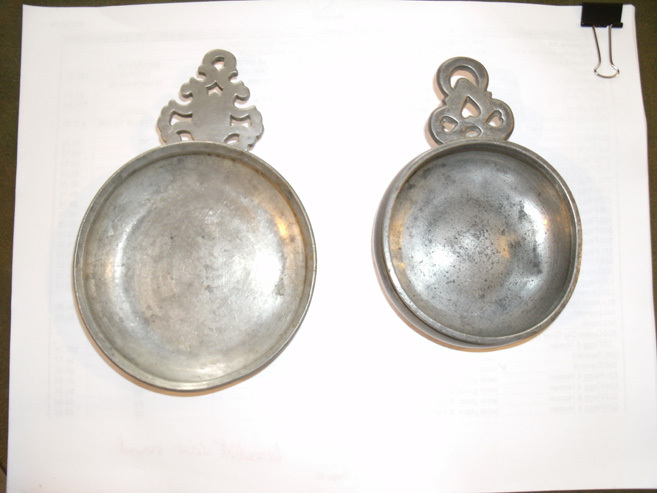 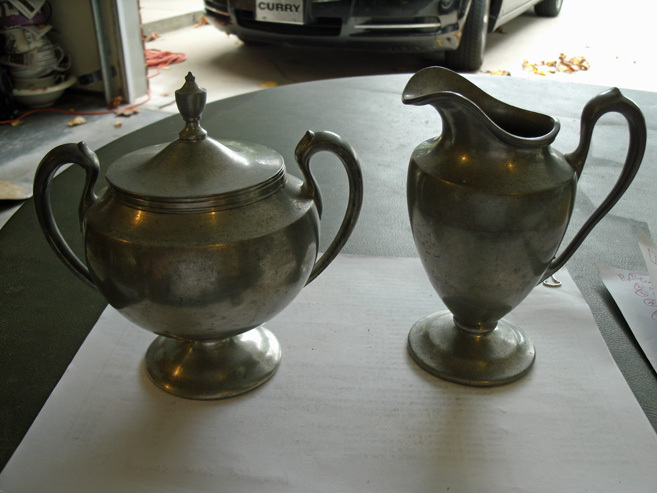 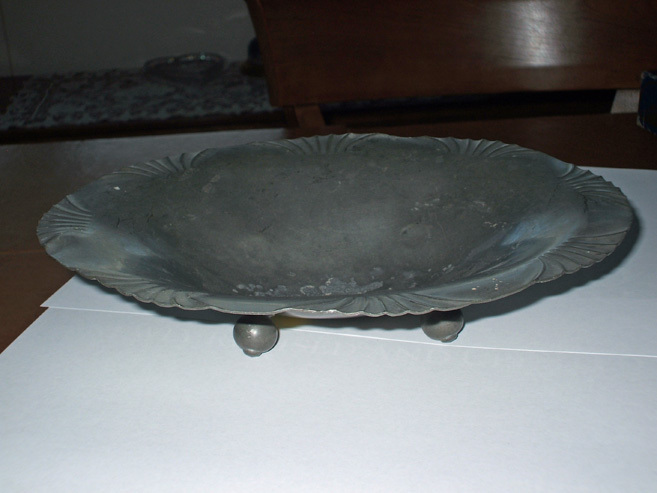 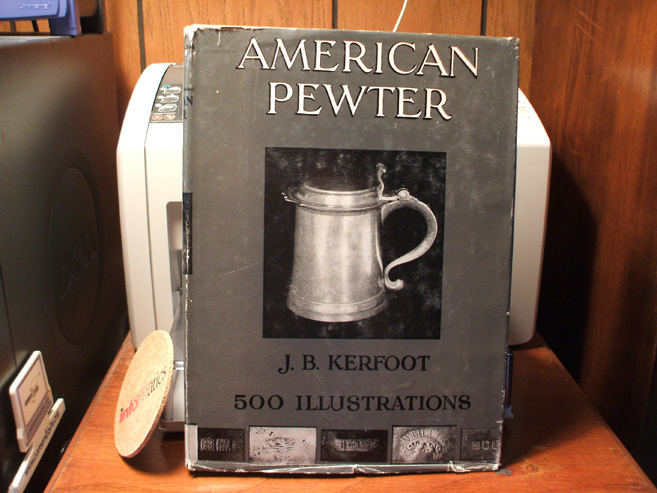 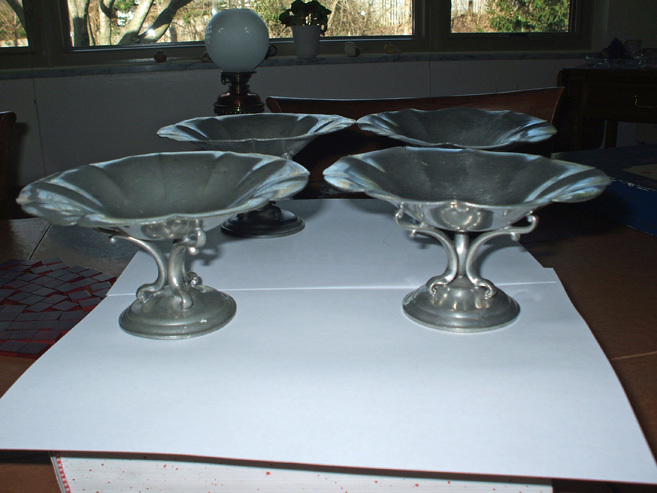 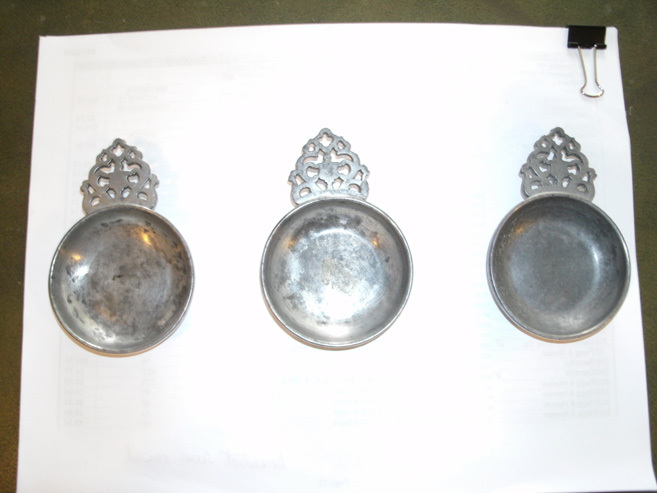 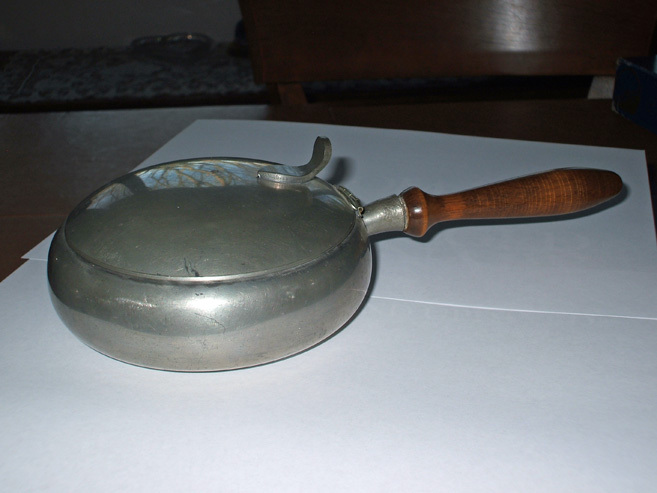 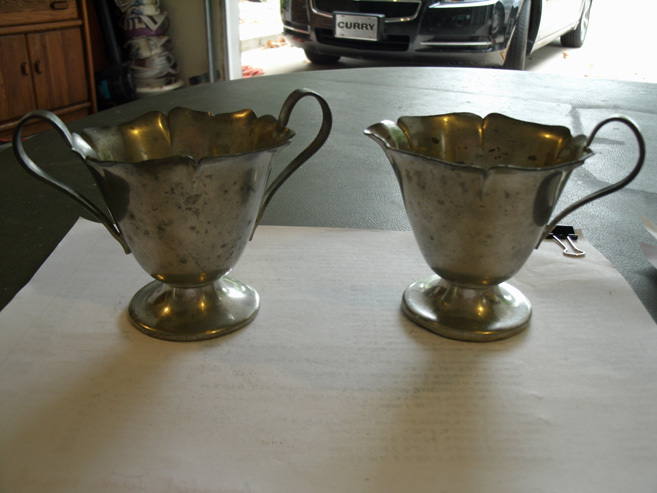 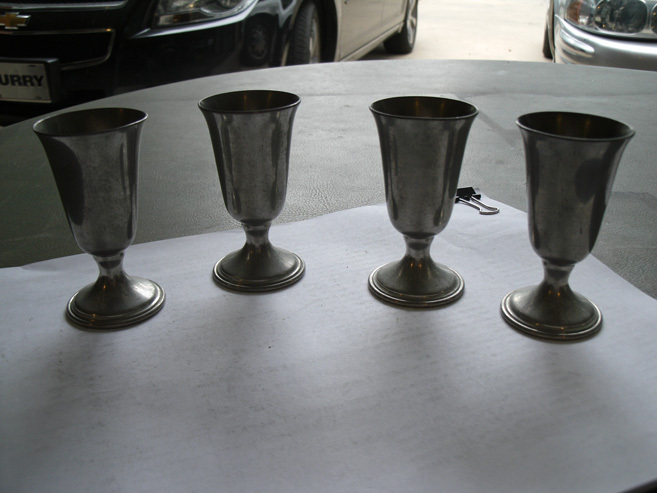 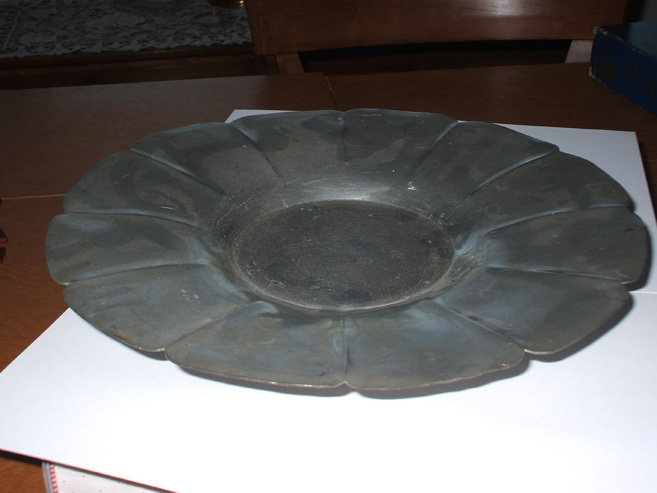 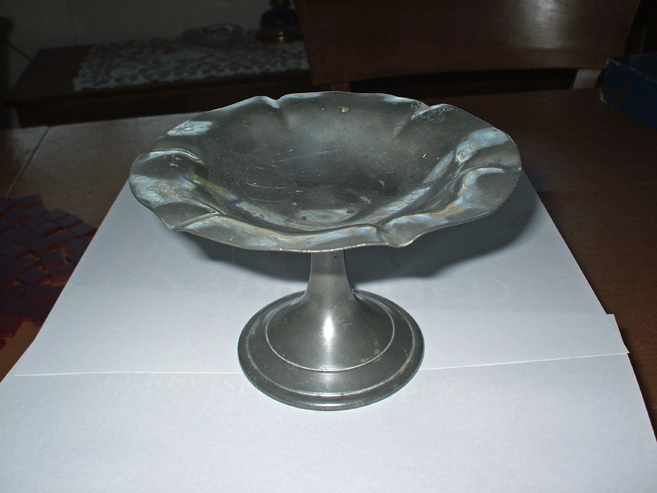 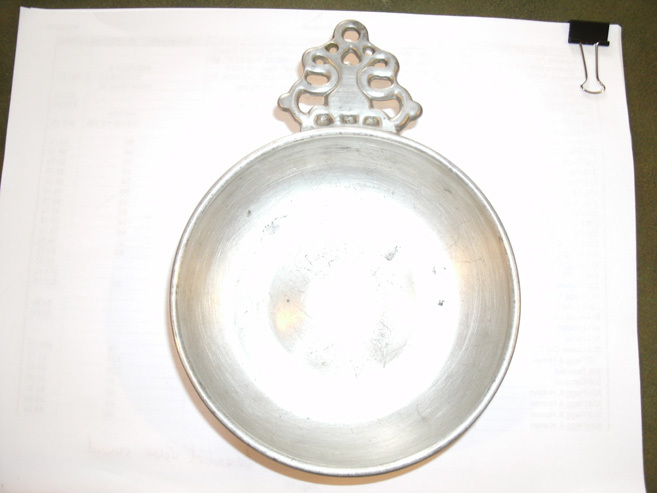 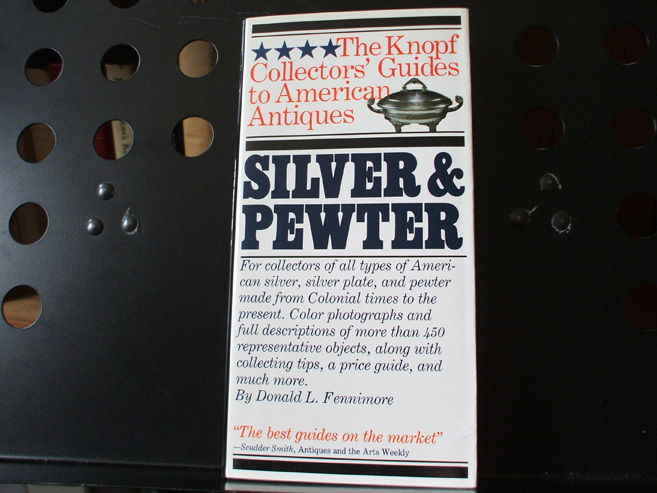 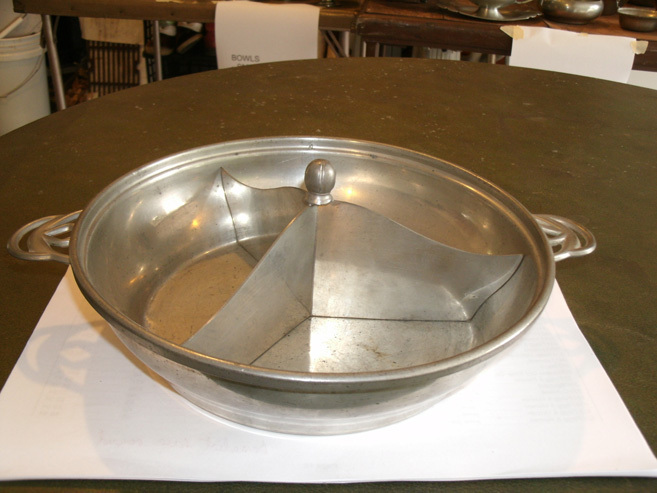 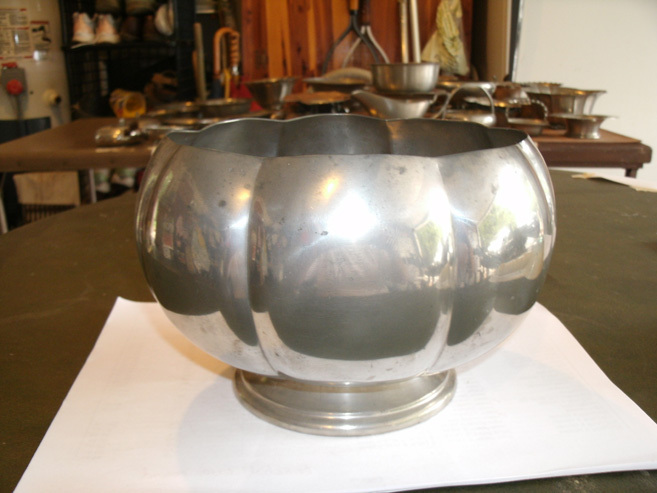 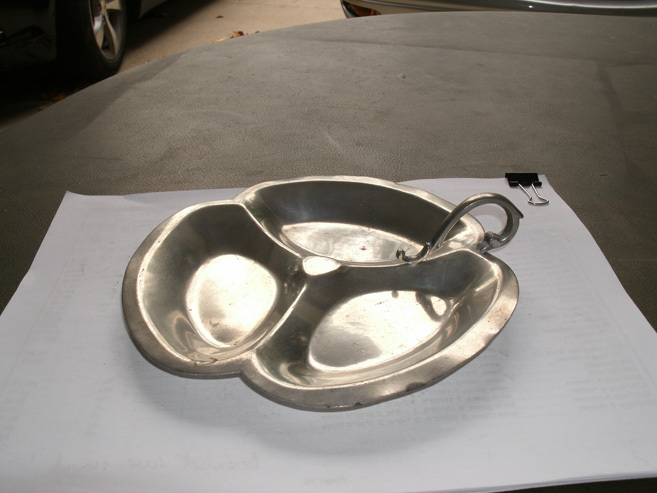 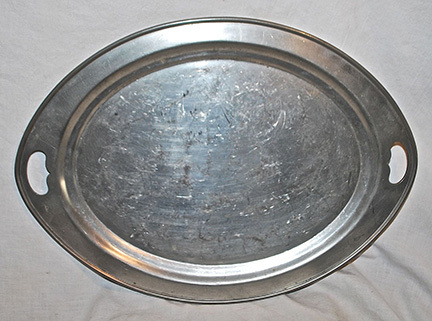 "20th-Century Pewter Pictures at Hoosier Pewter"
All 20th-century pewter items that were previously for sale by Hoosier Pewter have been donated to the Monroe County (IN) History Center. 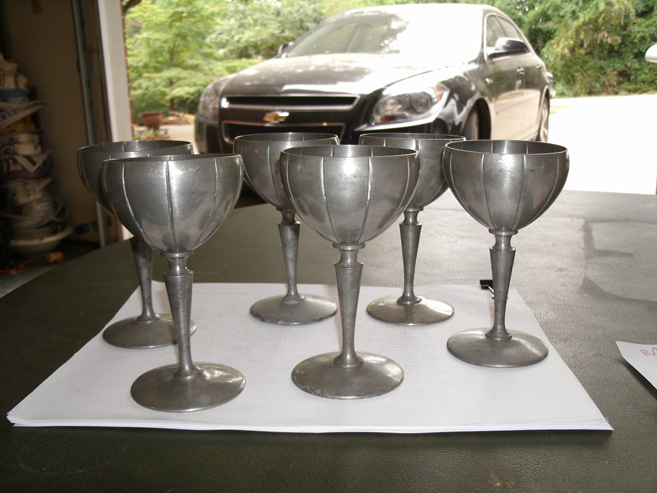 They will be for sale at the MCHC's next garage sale in June 2016. 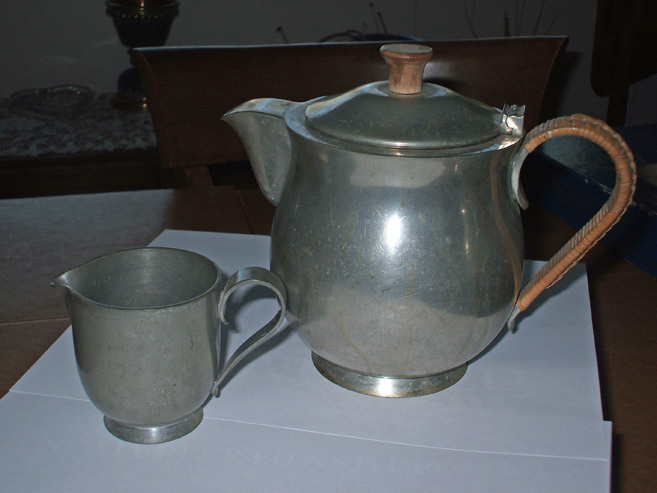 Although the original prices have been left in the listings below, they may not be the same as the prices attached to the items by the MCHC. 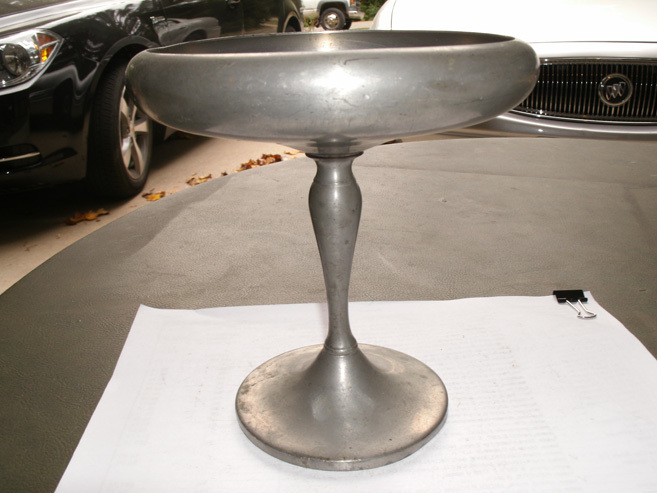 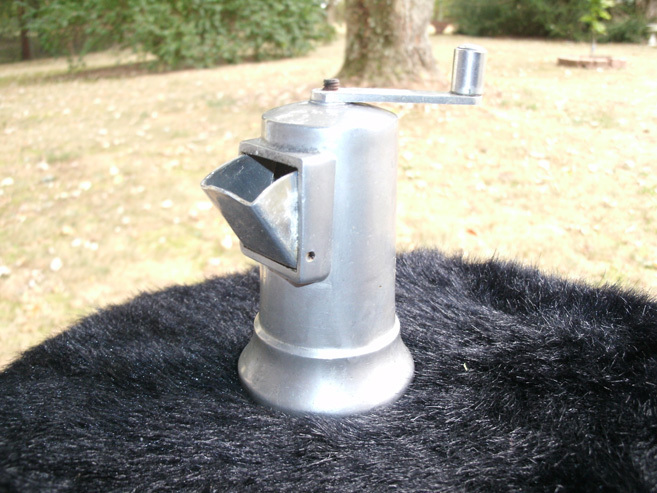 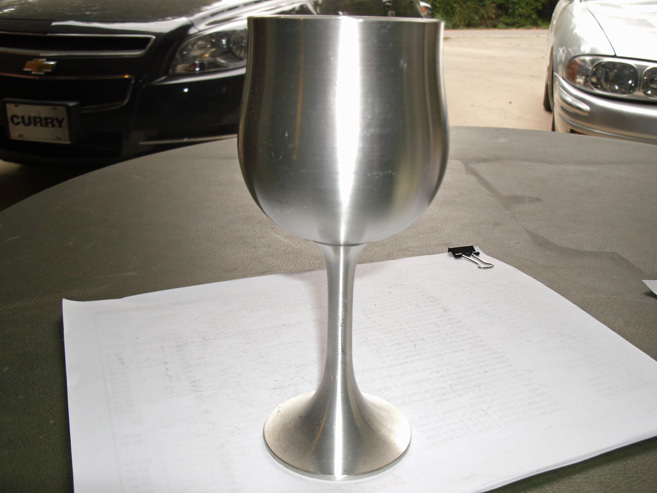 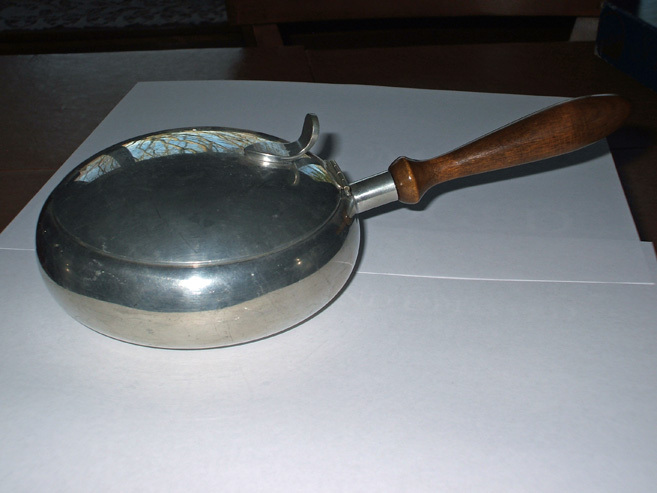 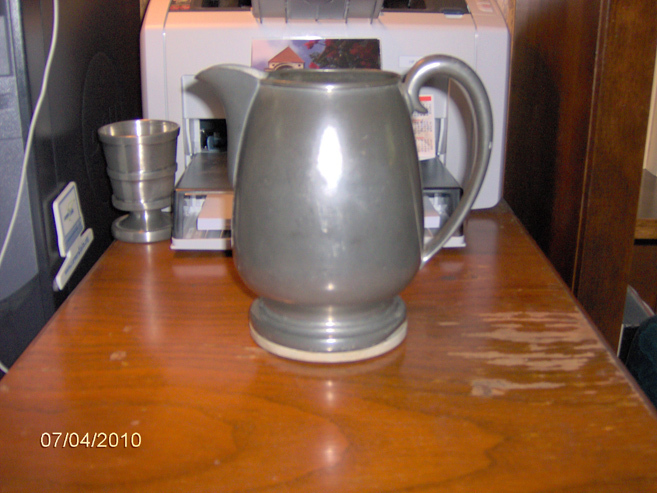 Click the thumbnail images to see larger pictures of the items. 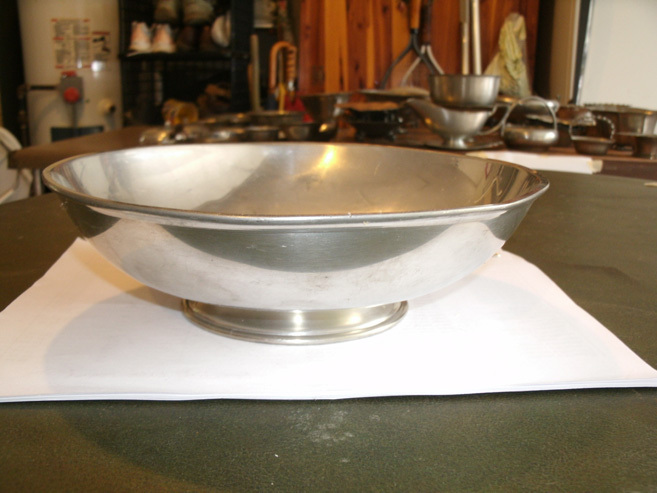 Note: Height measurements are from the base to the lowest point on the item's top, excluding attached or unattached lids. 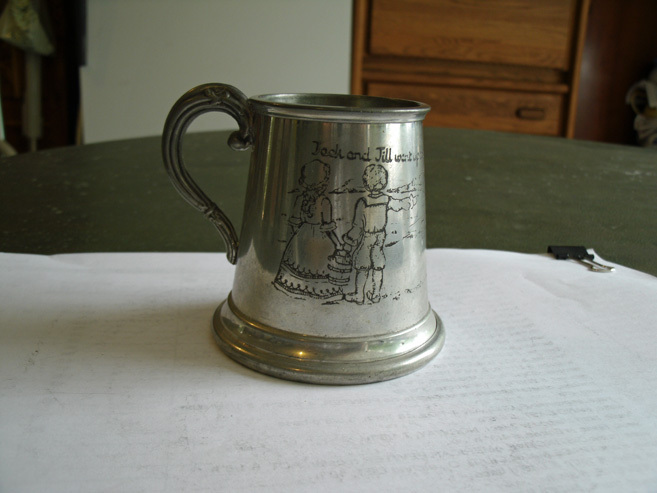 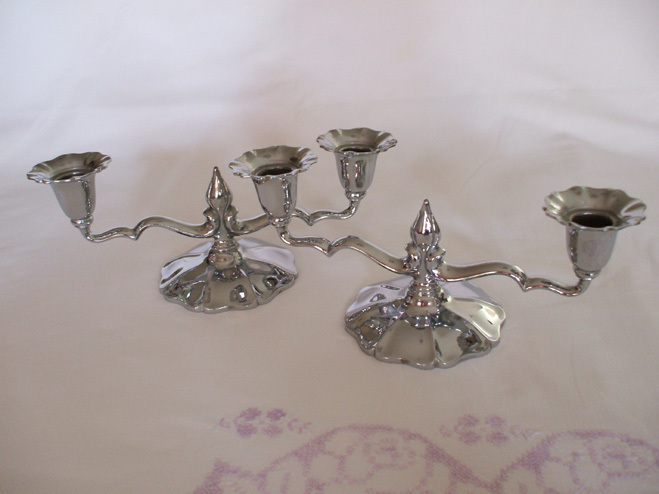 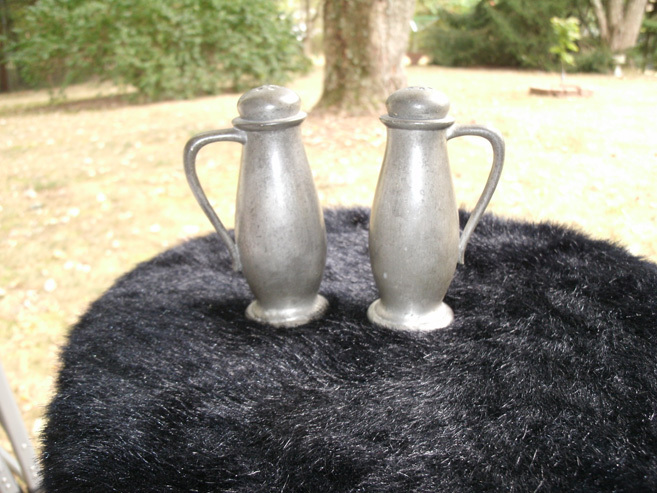 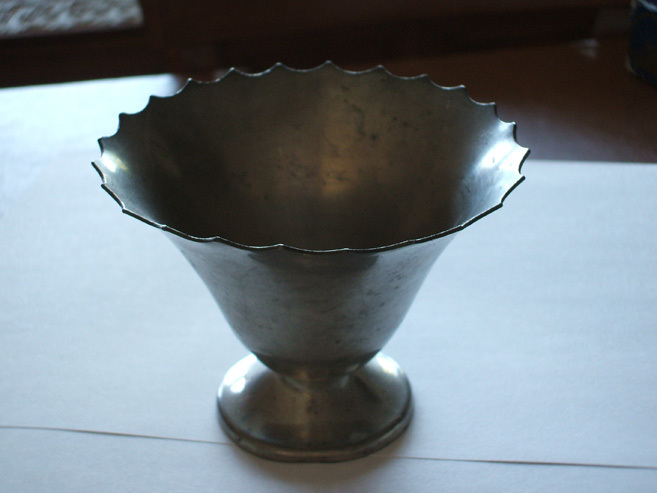 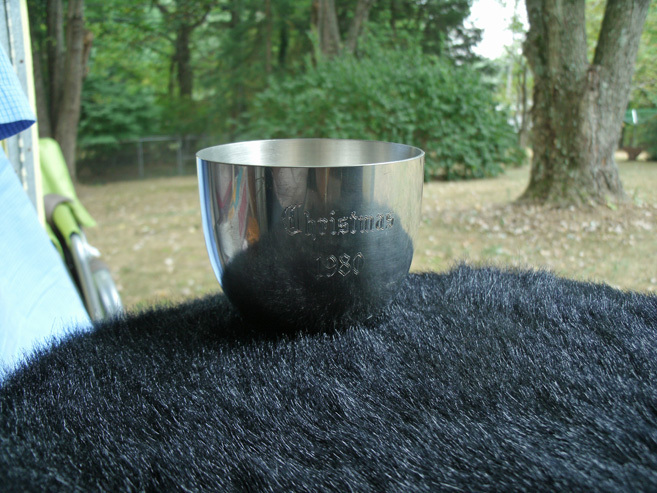 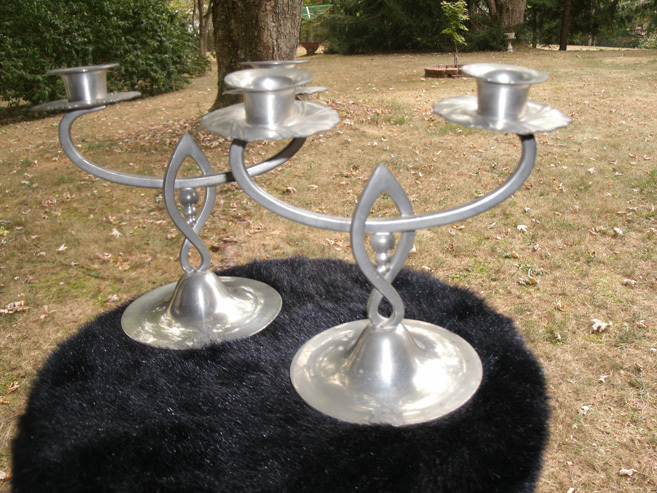 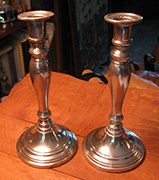 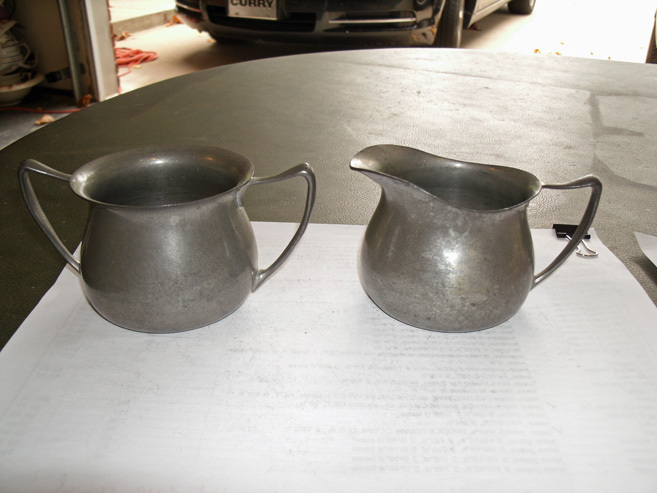 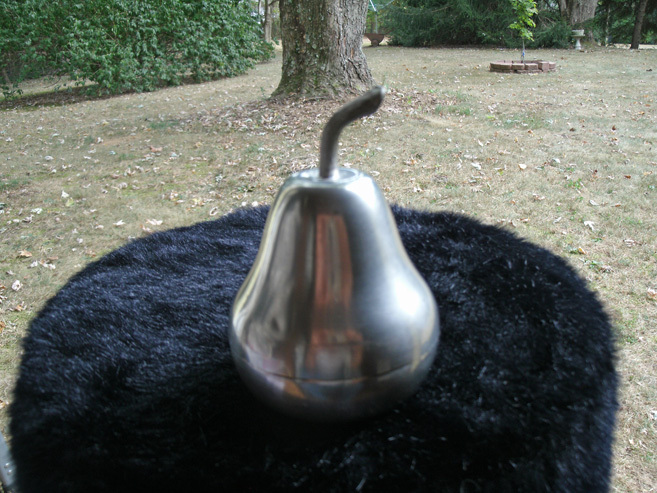 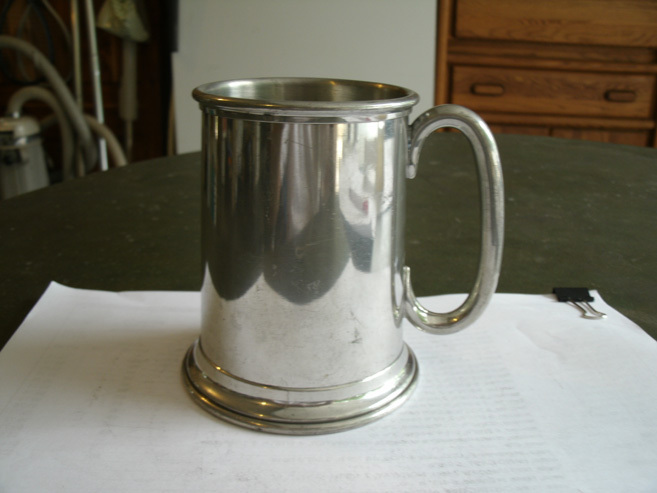 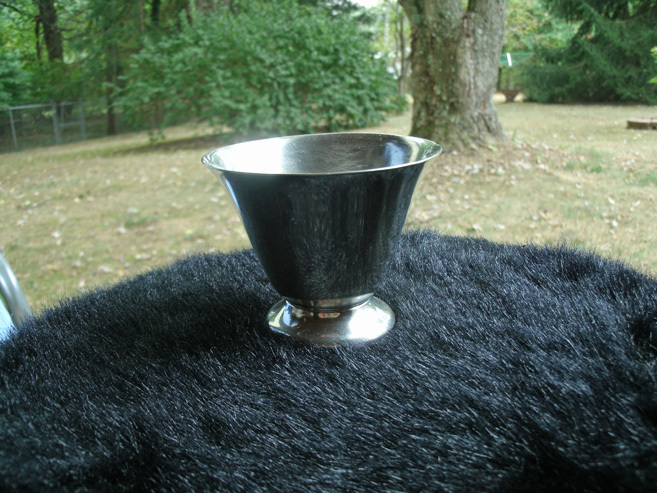 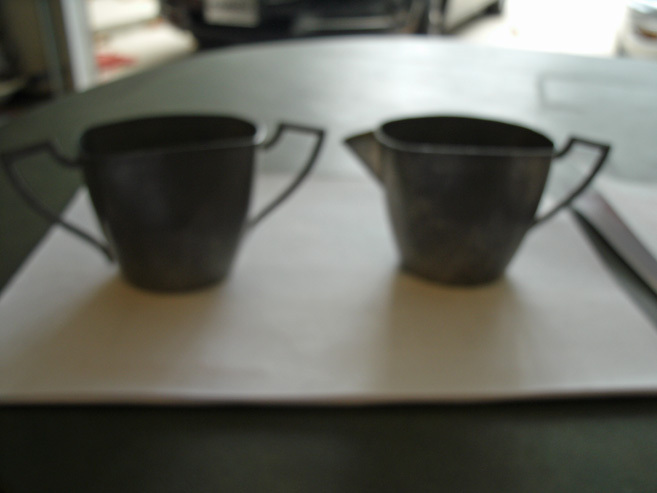 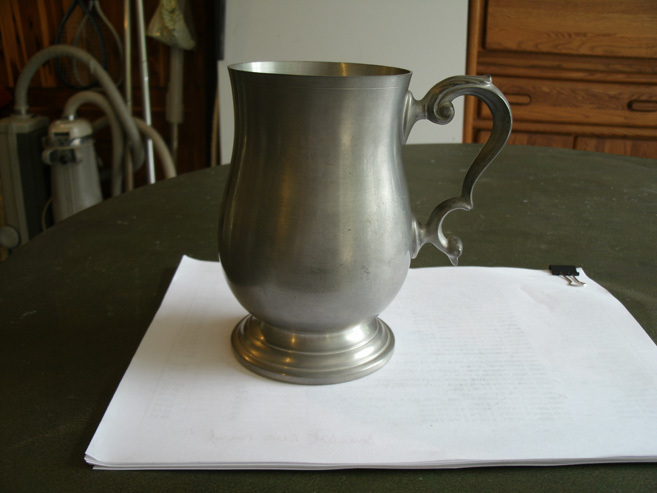 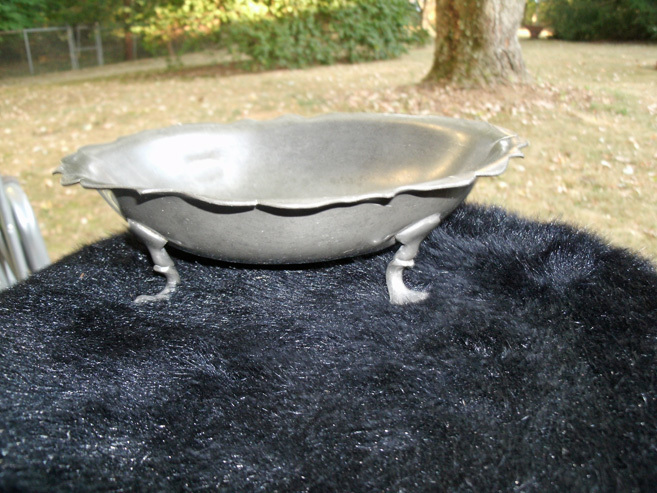 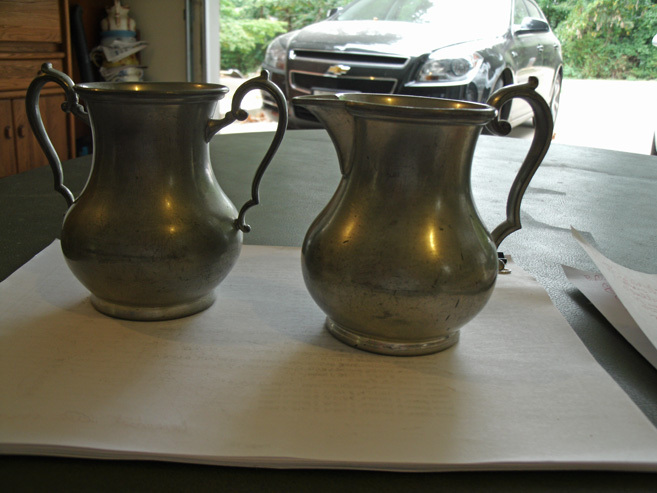 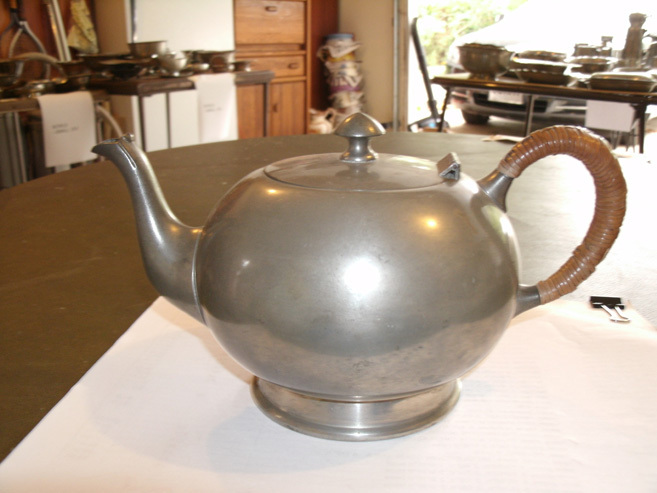 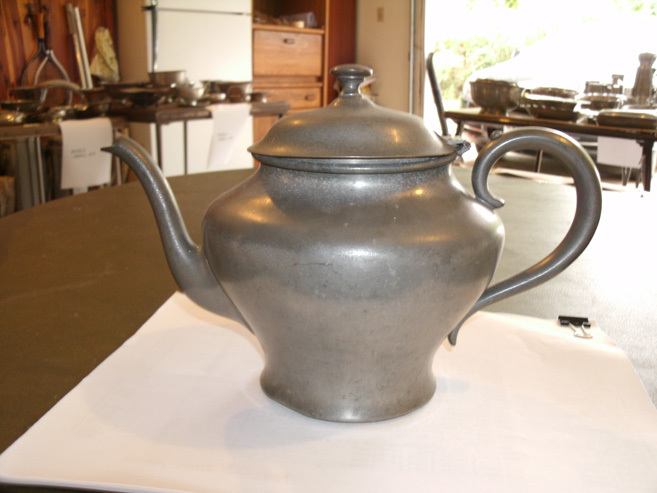 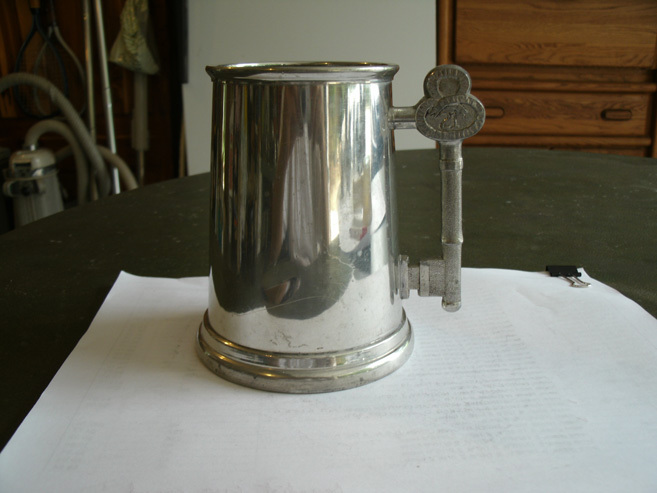 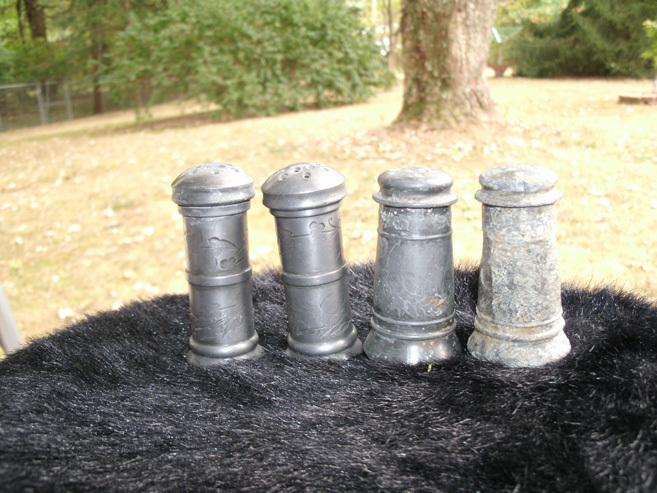 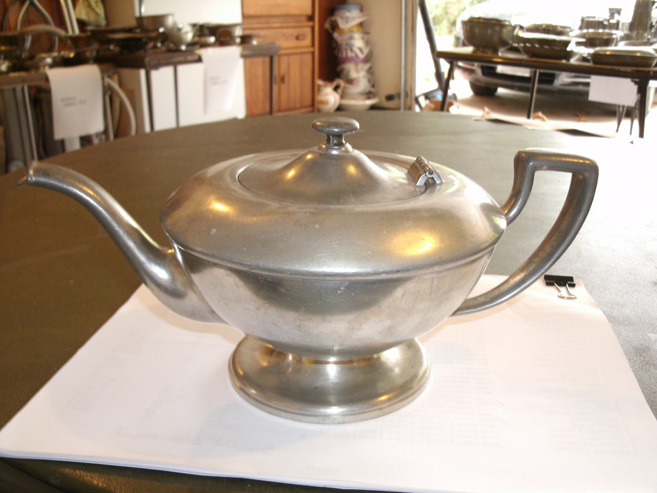 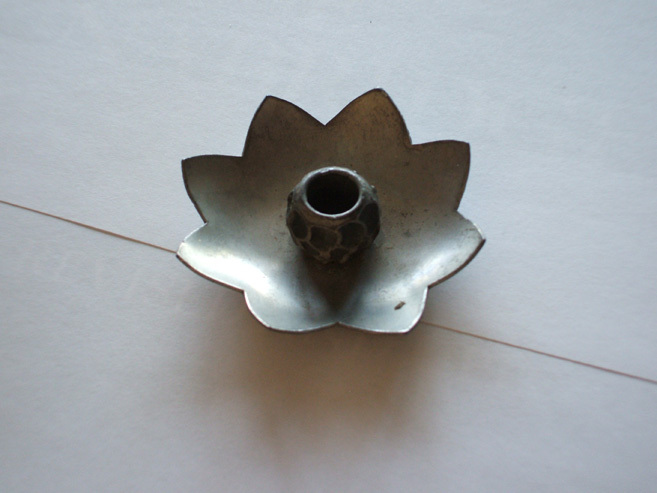 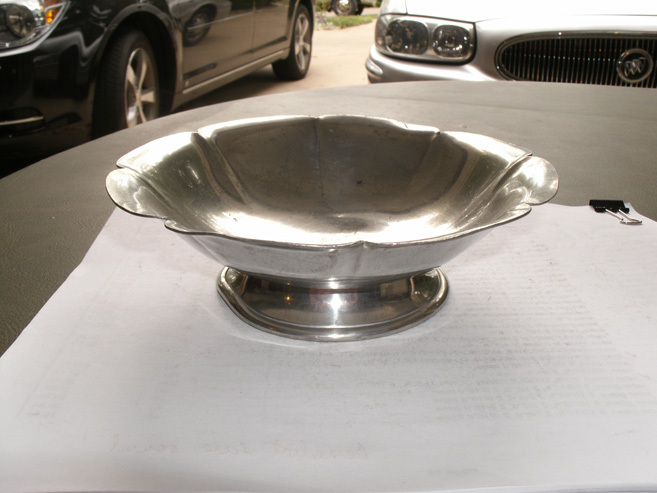 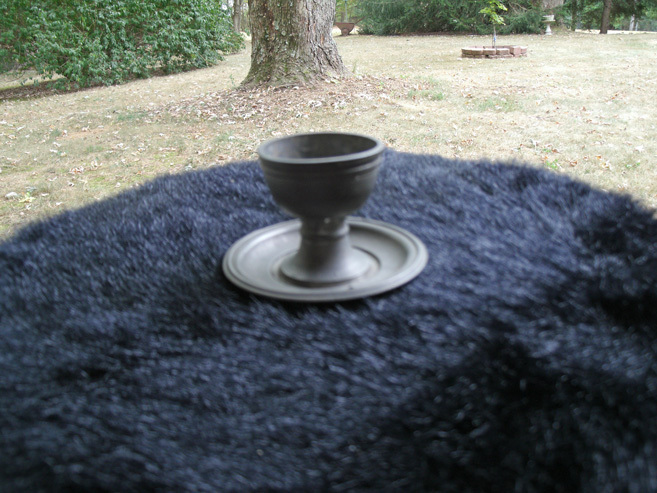 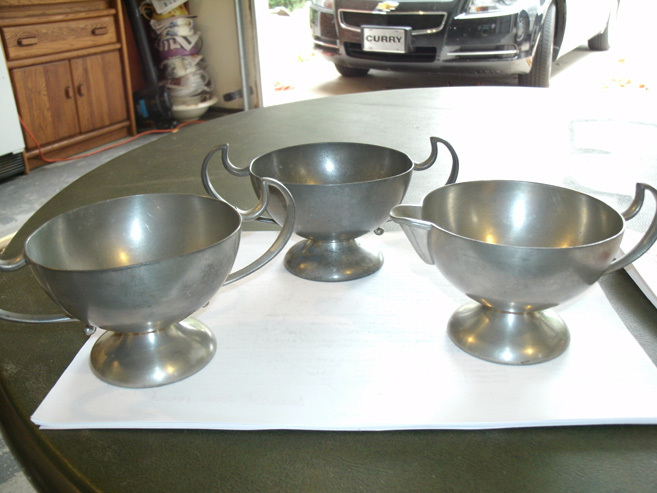 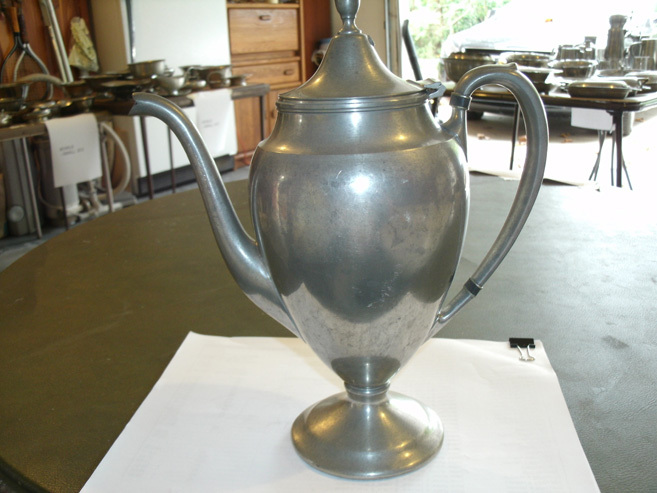 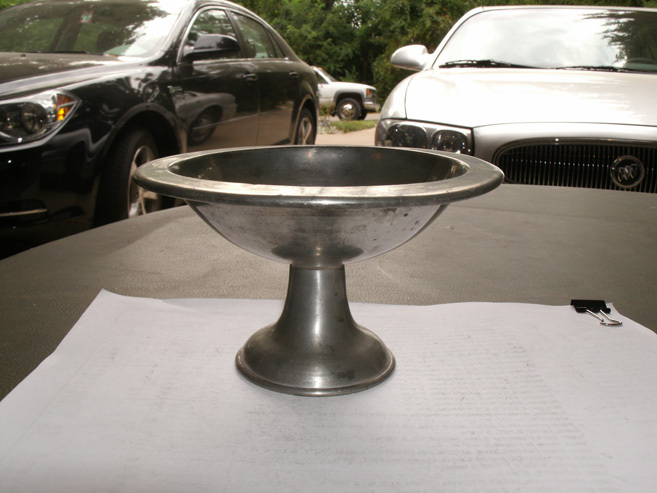 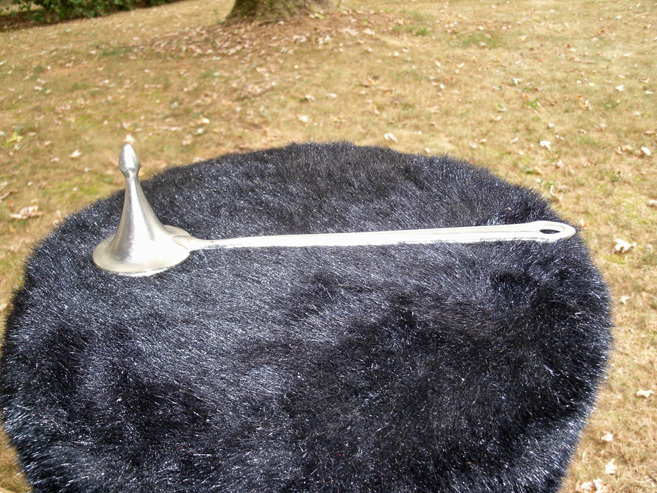 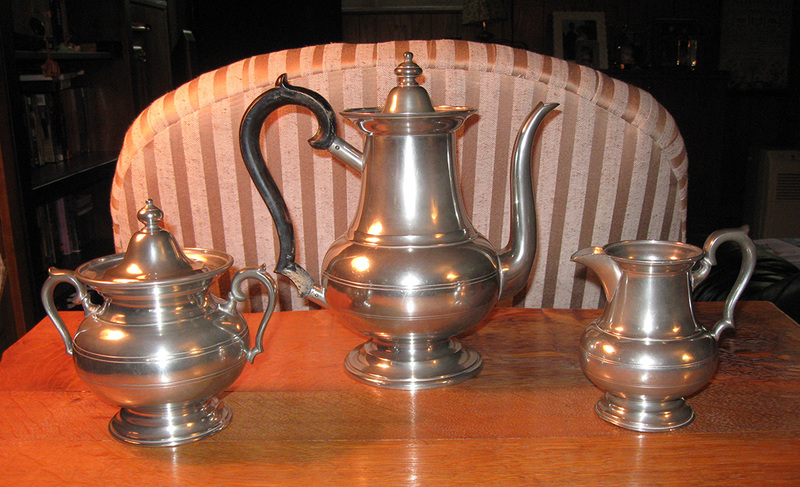 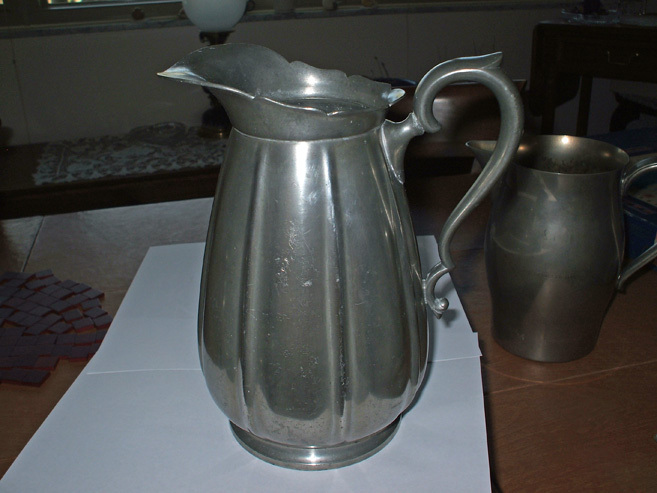 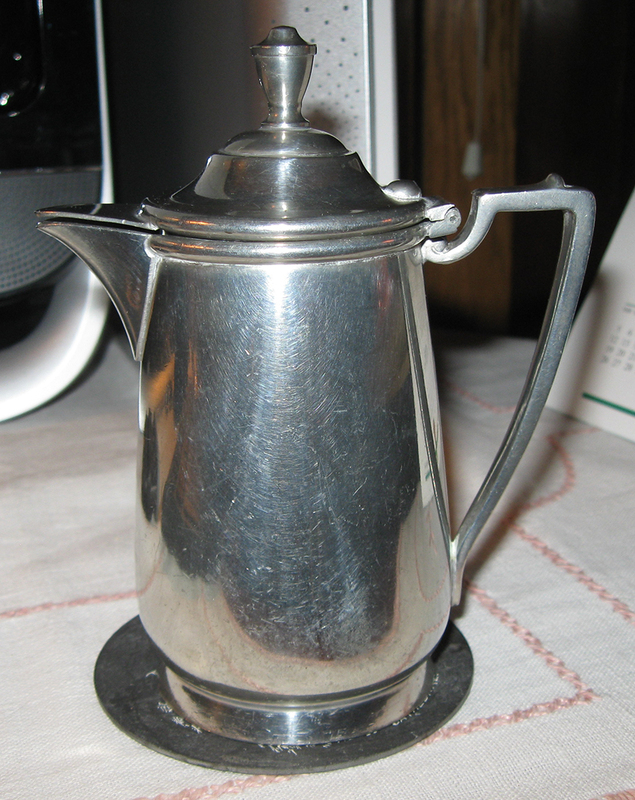 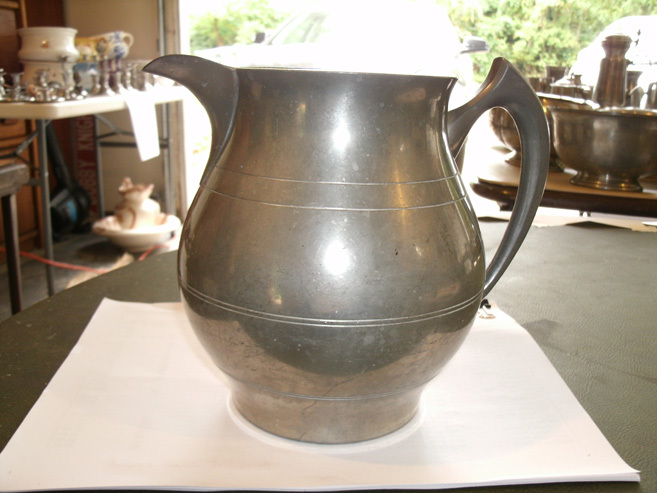 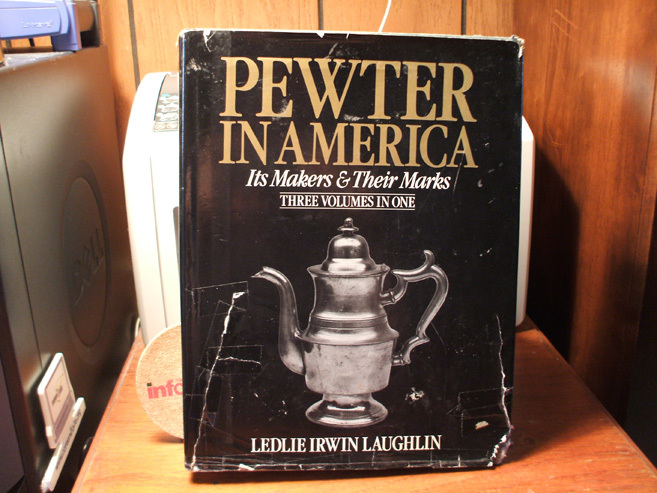 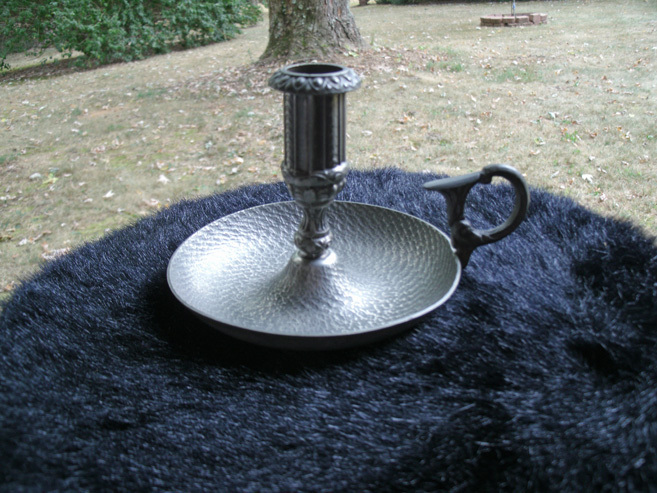 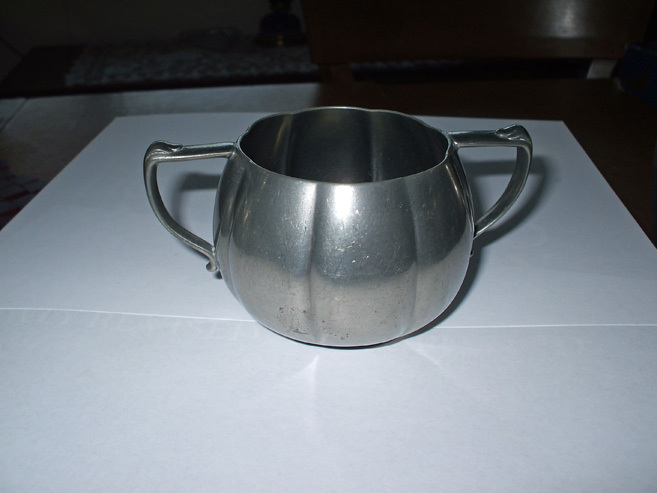 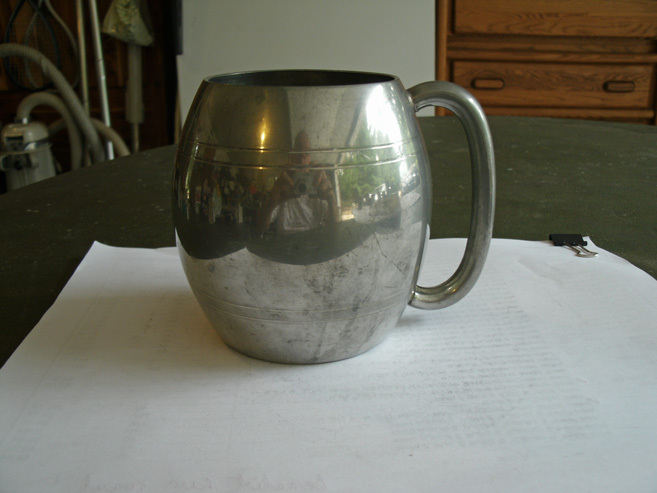 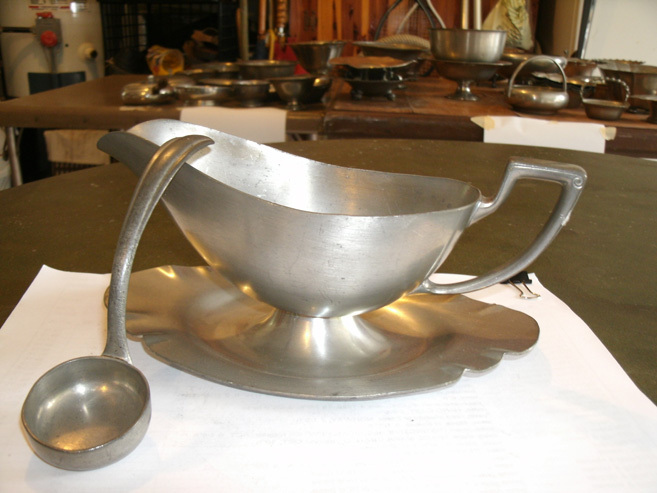 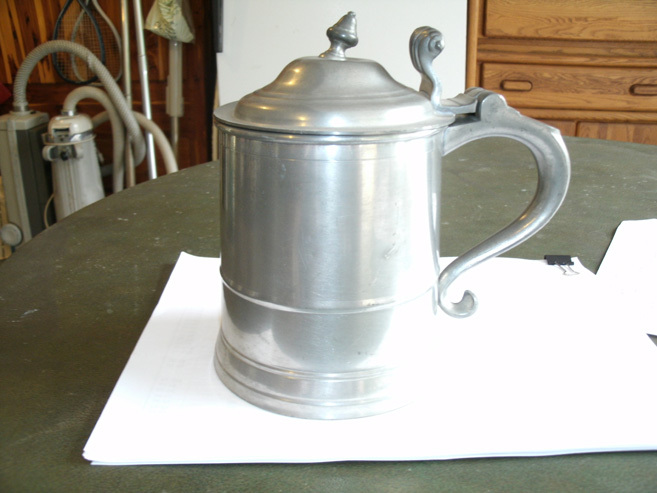 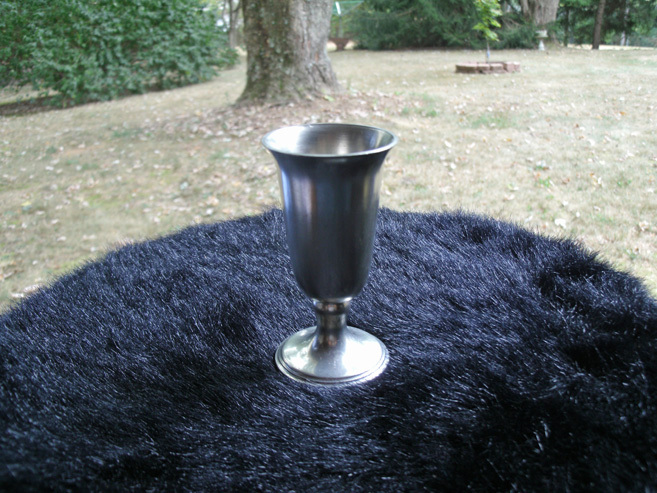 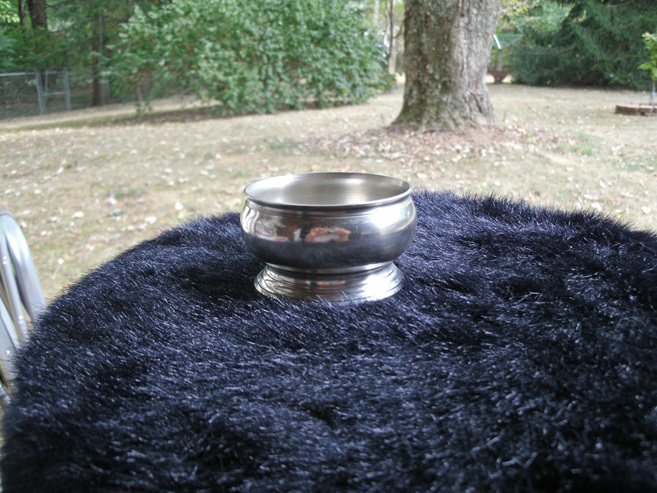 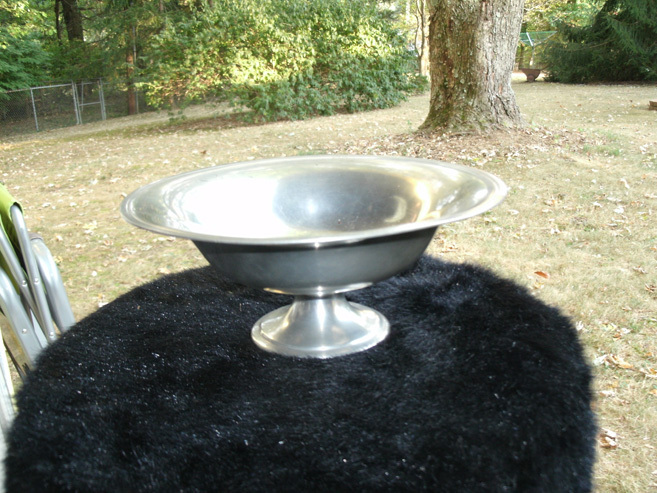 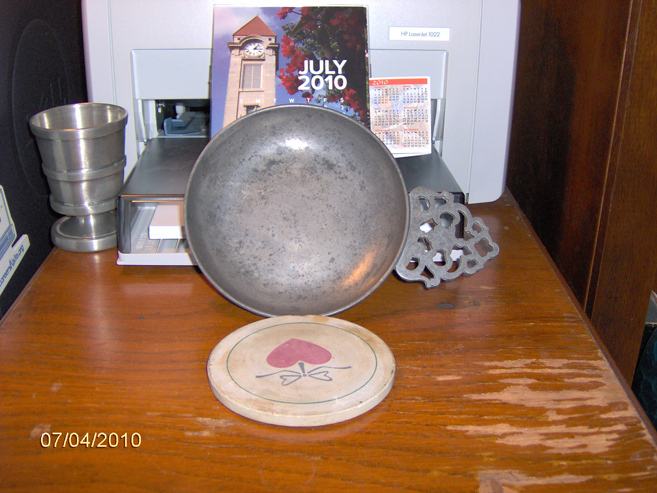 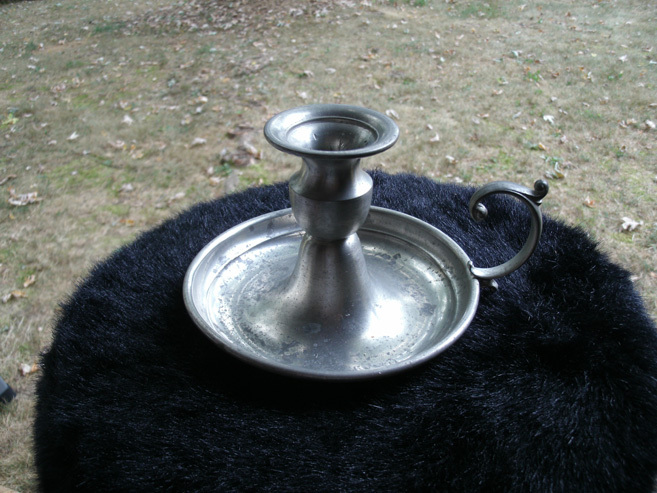 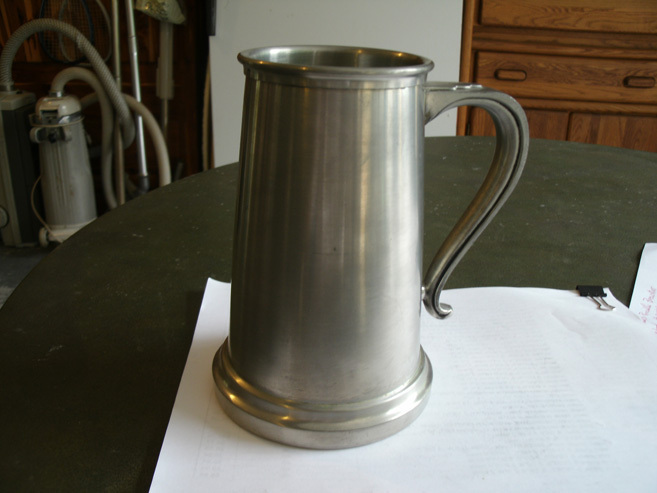 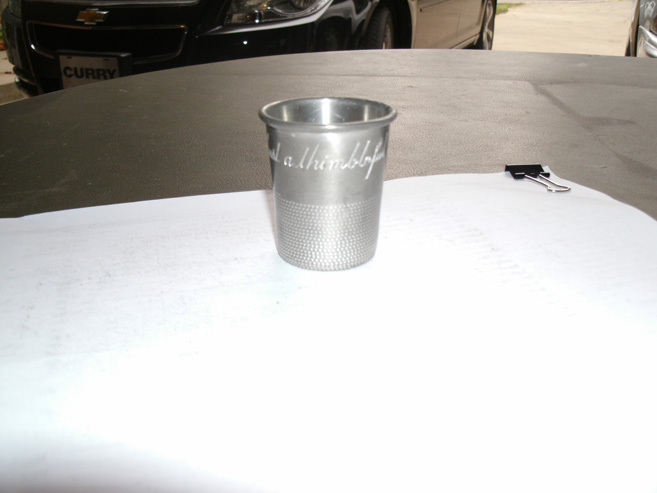 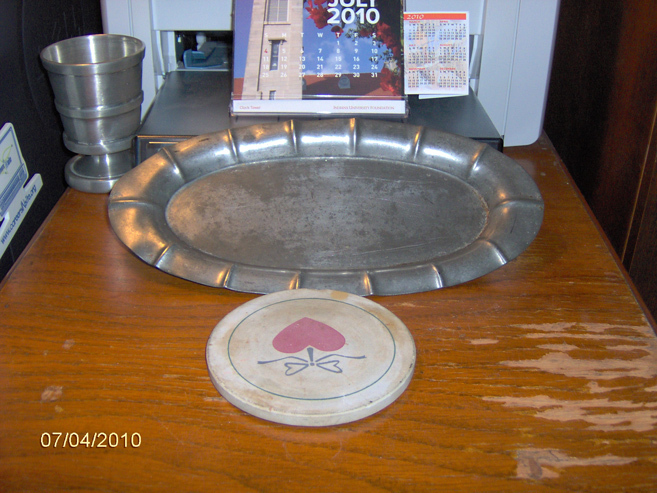 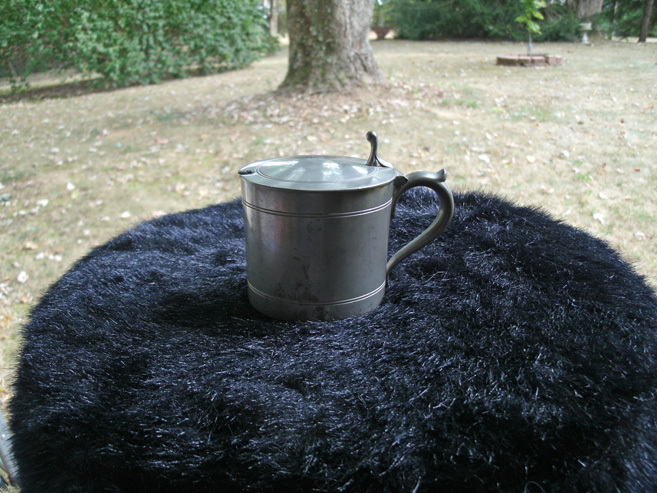 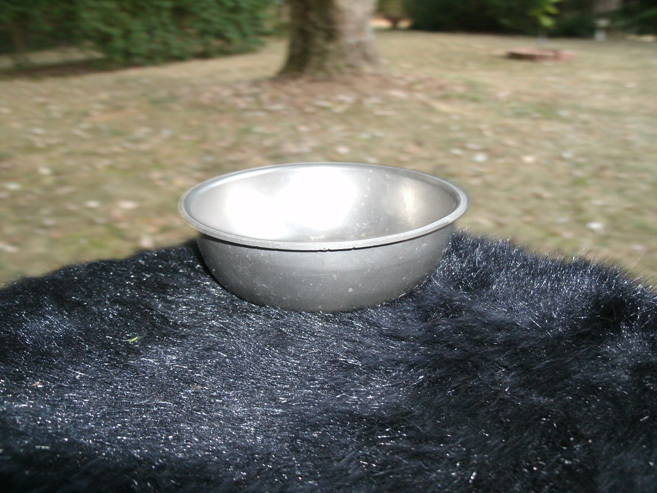 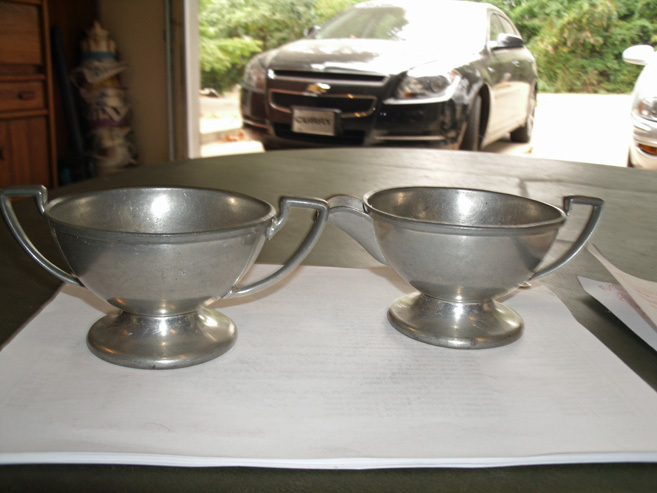 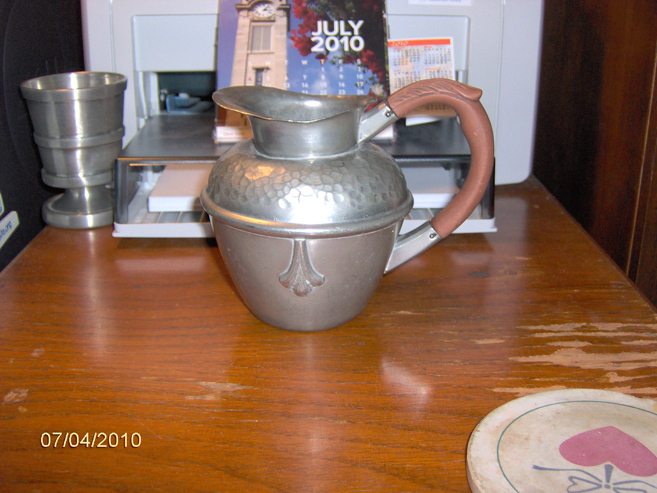 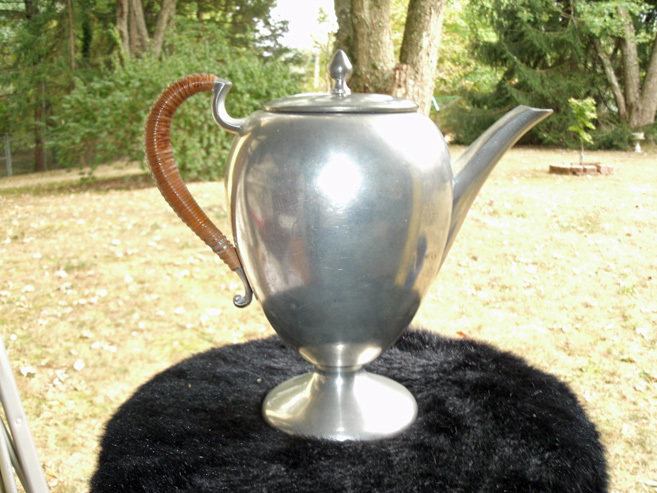 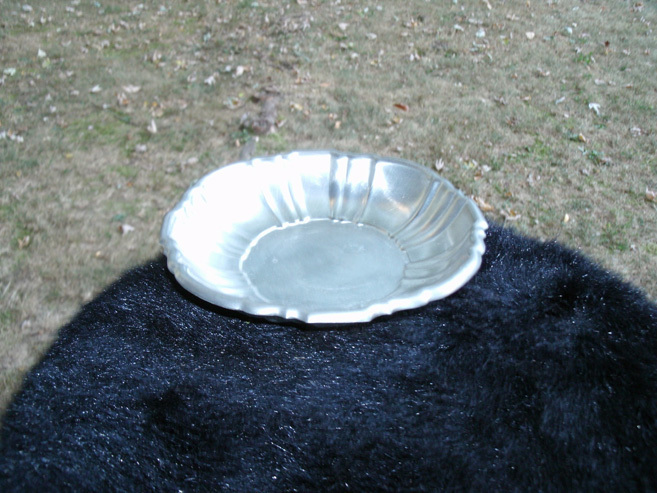 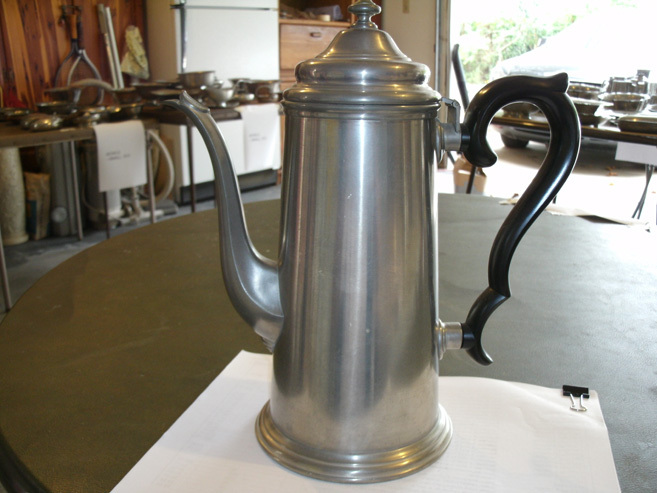 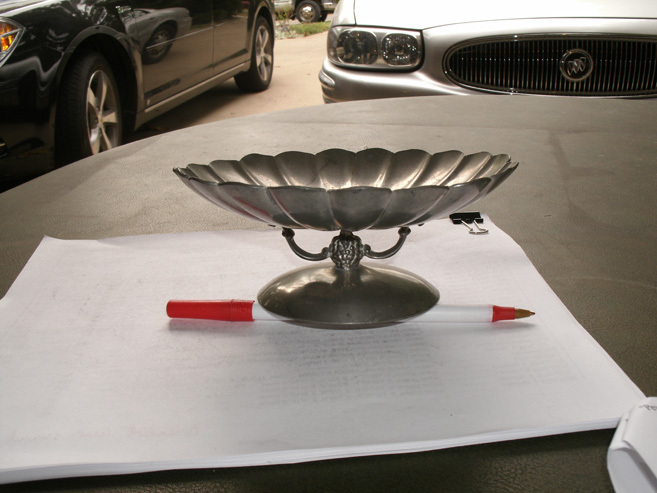 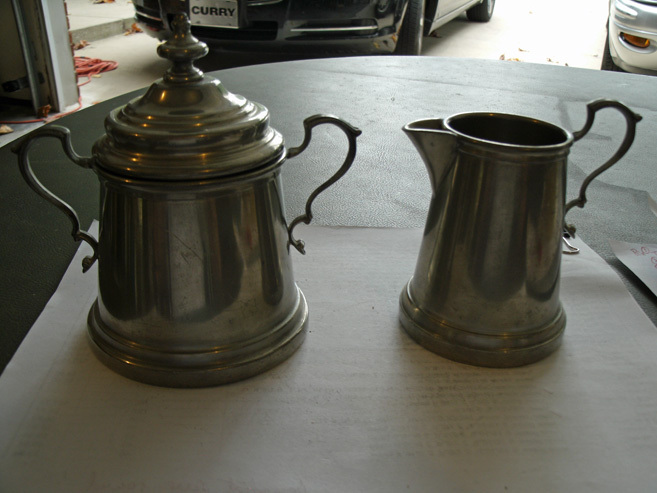 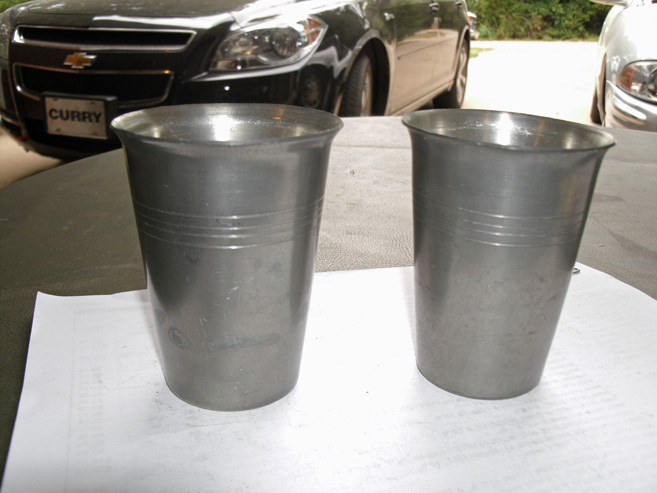 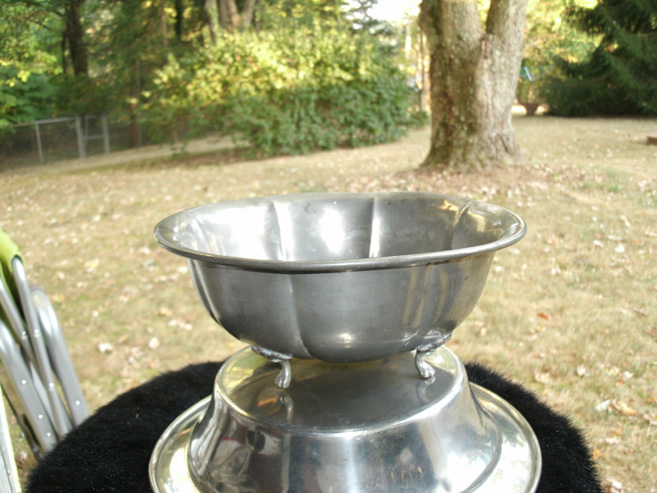 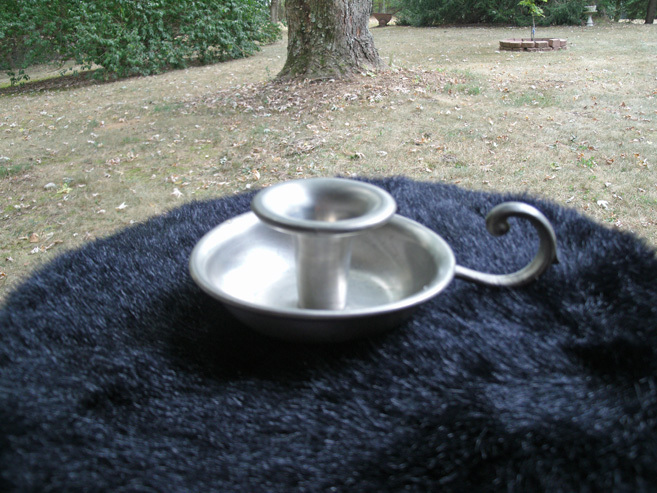 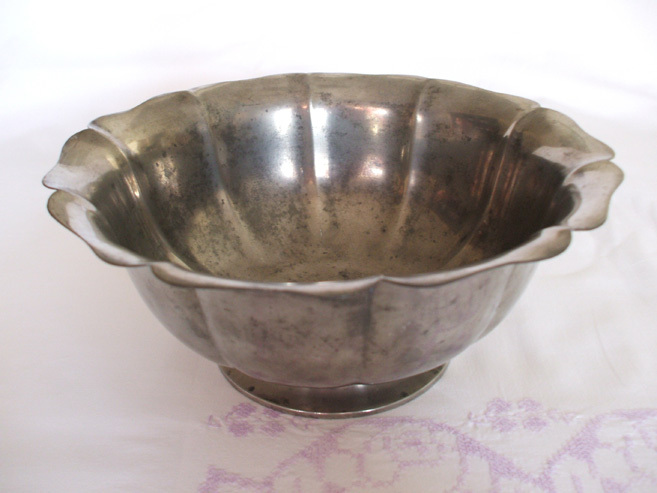 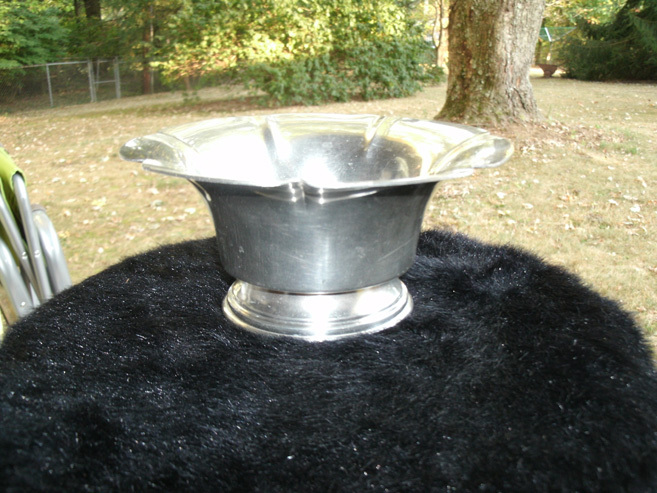 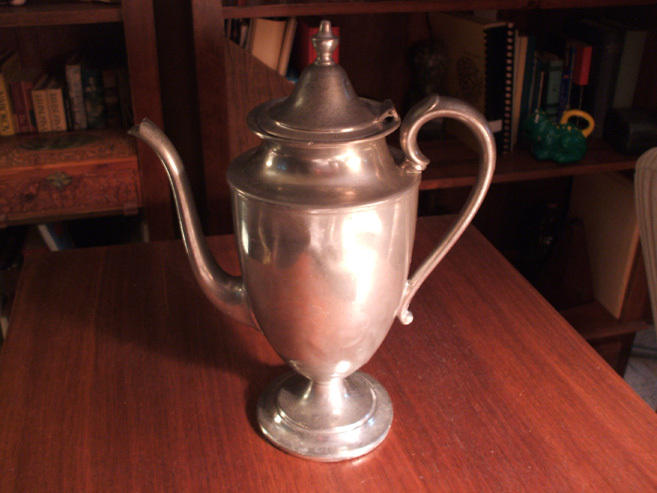 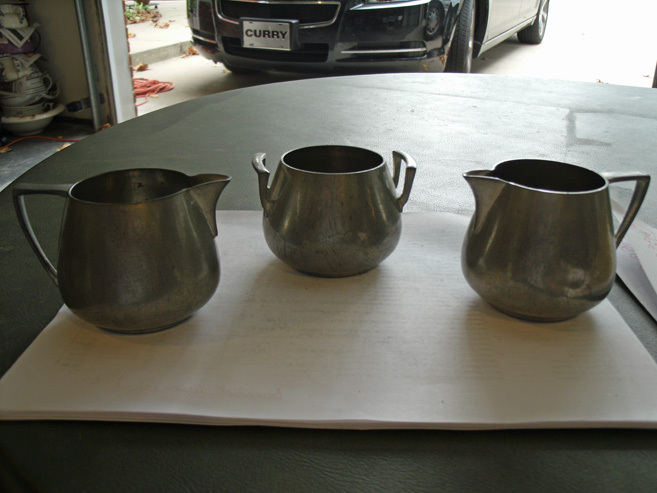 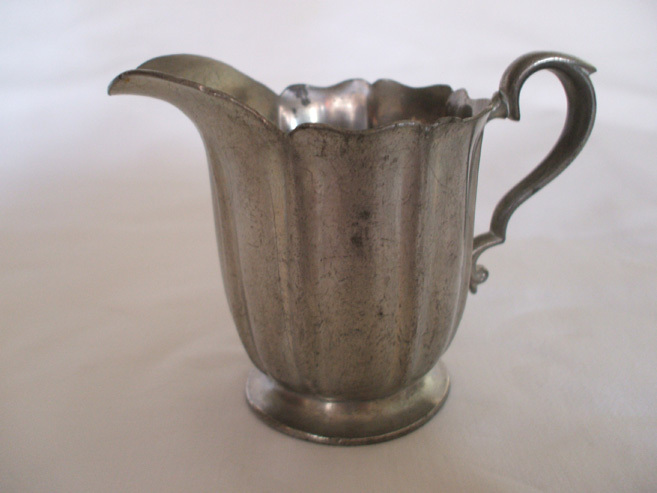 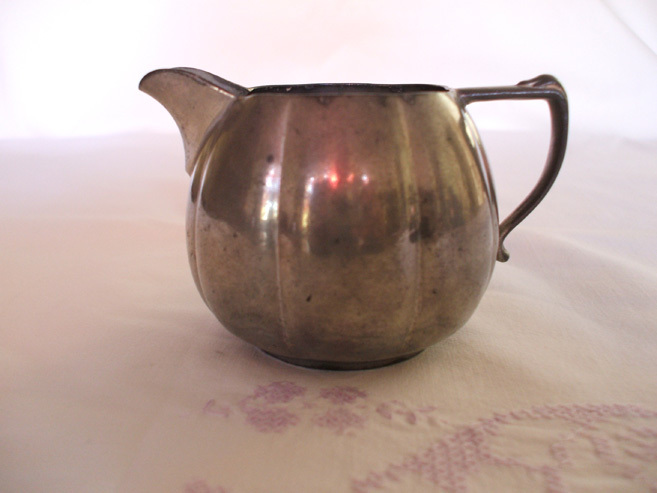 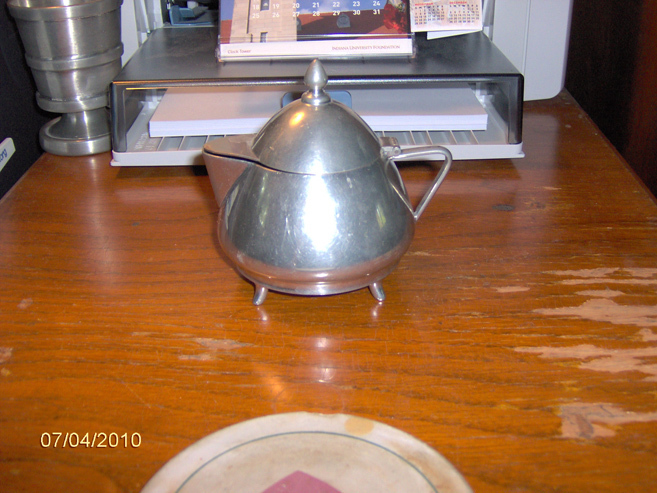 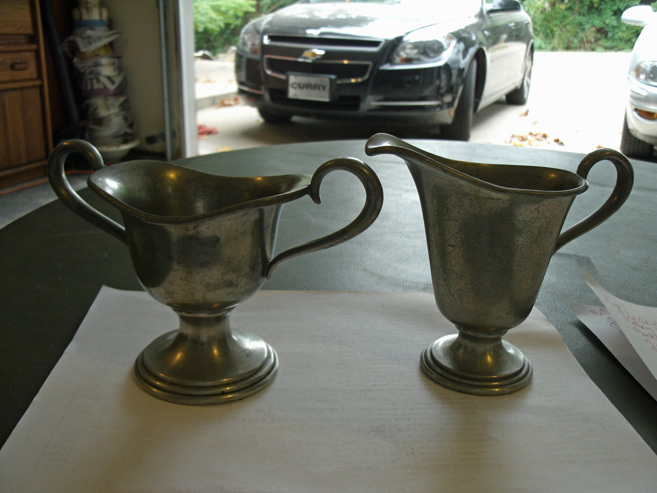 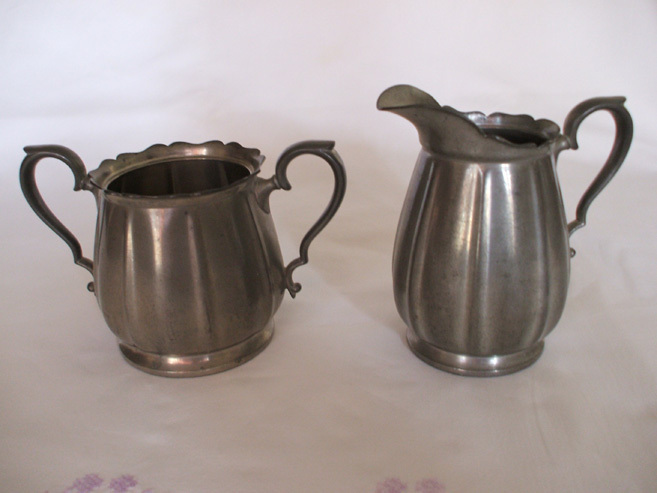 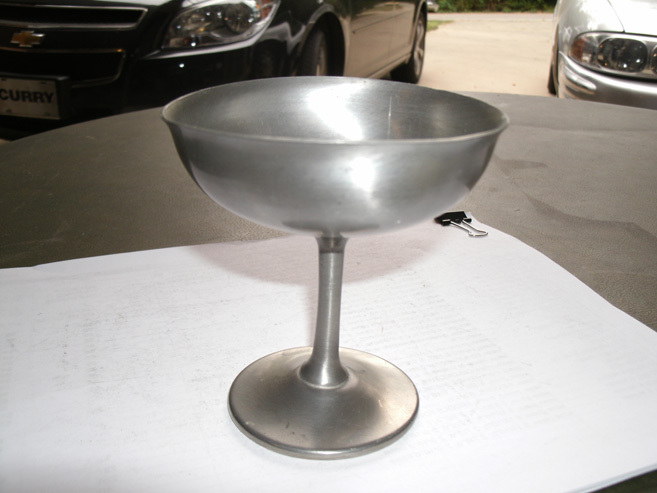 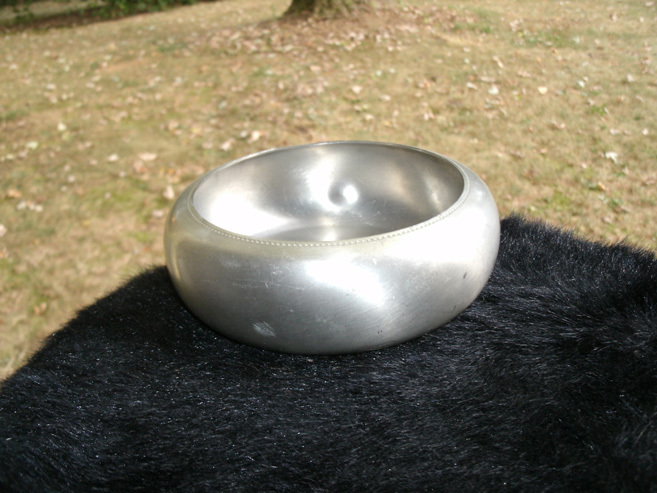 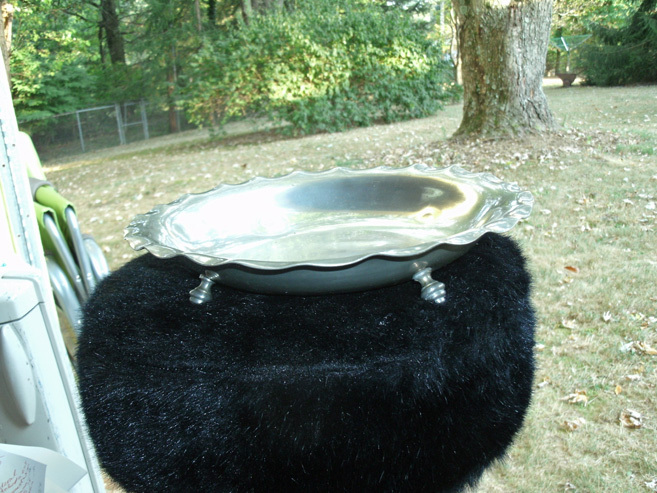 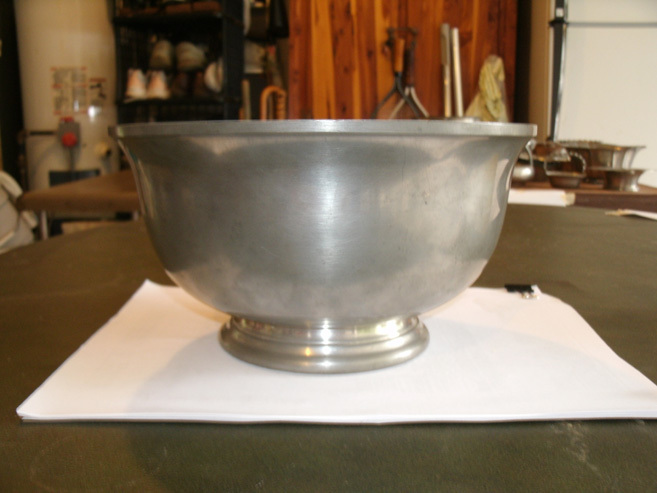 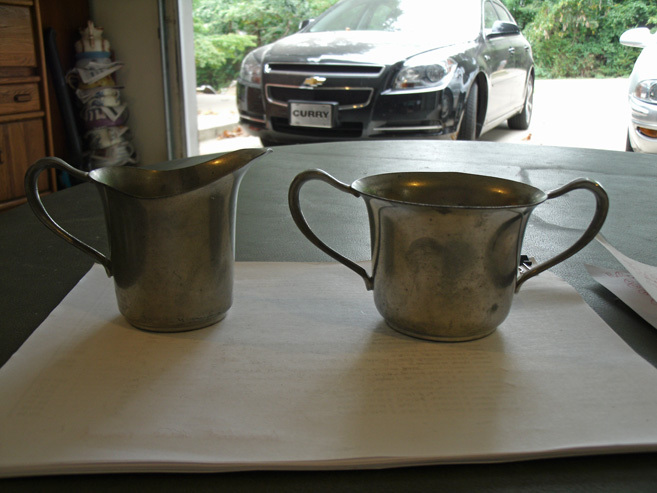 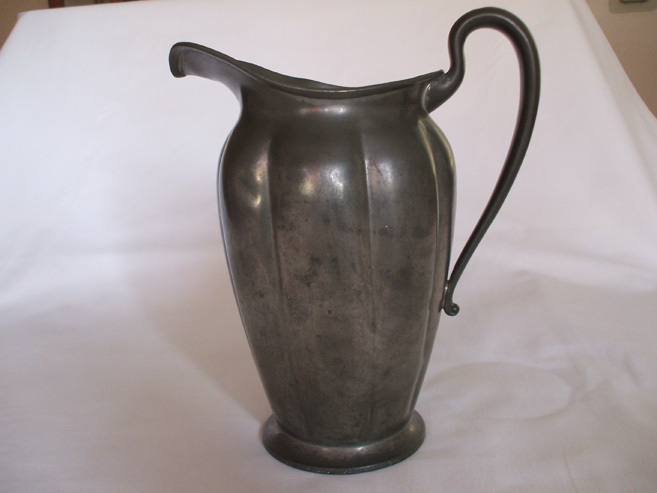 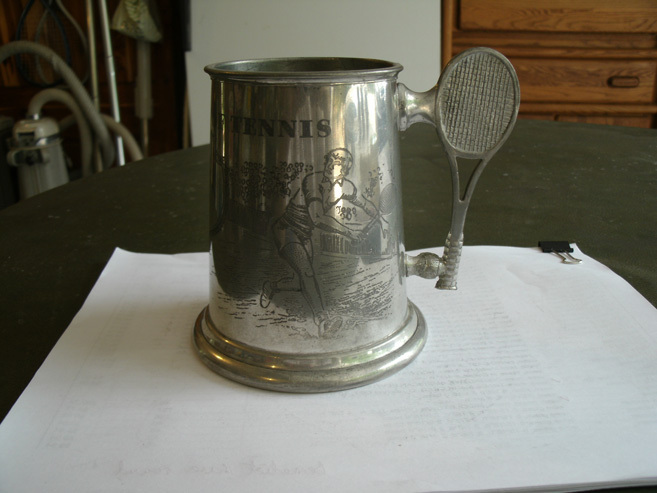 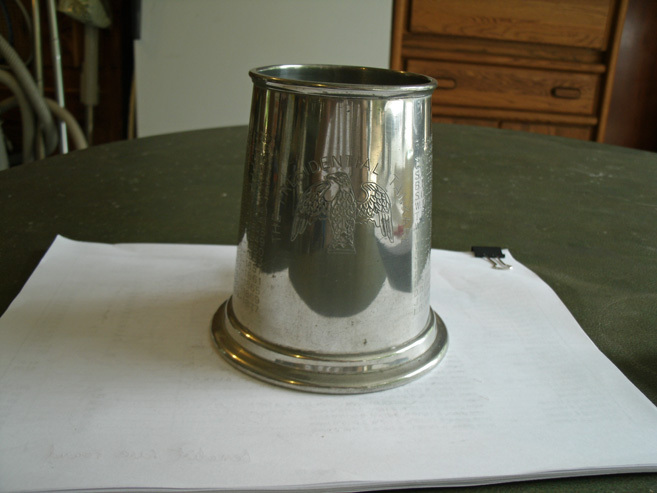 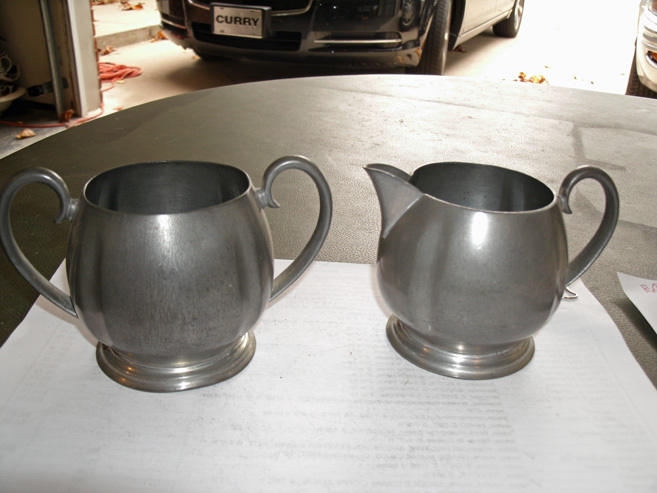 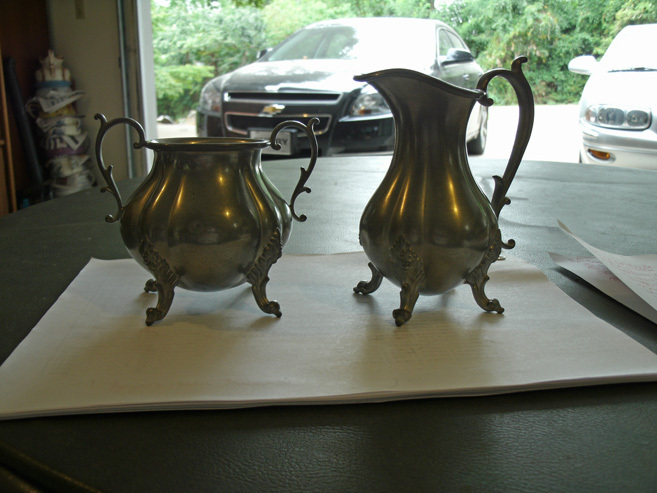 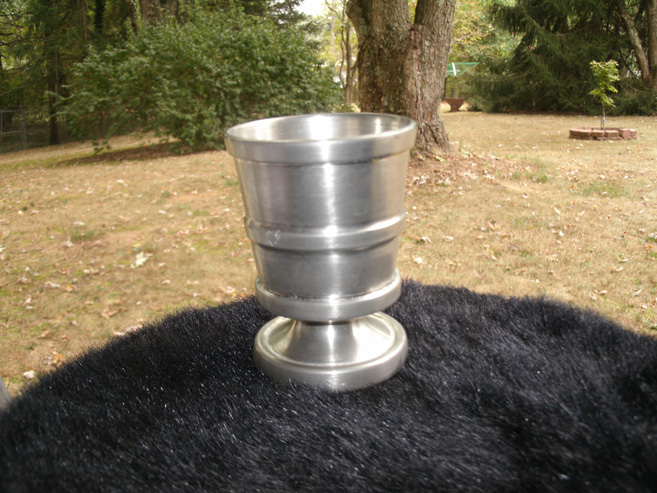 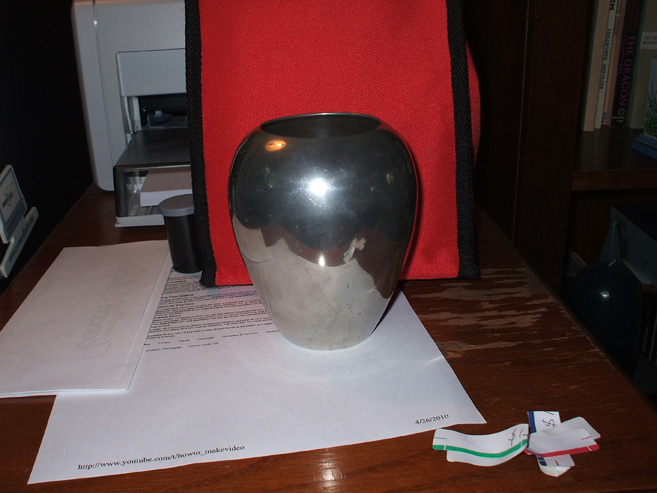 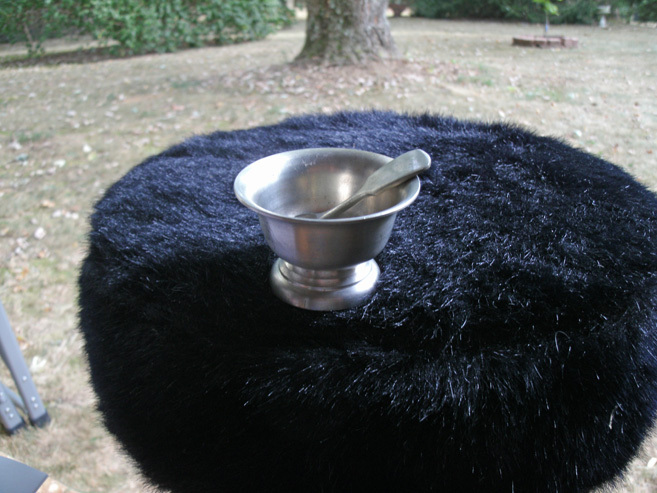 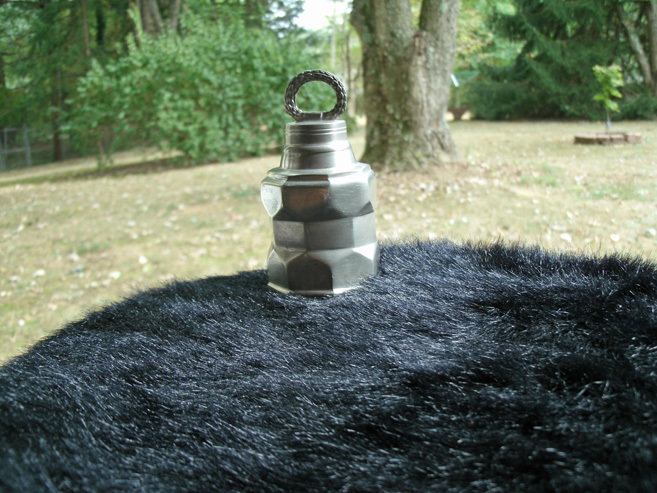 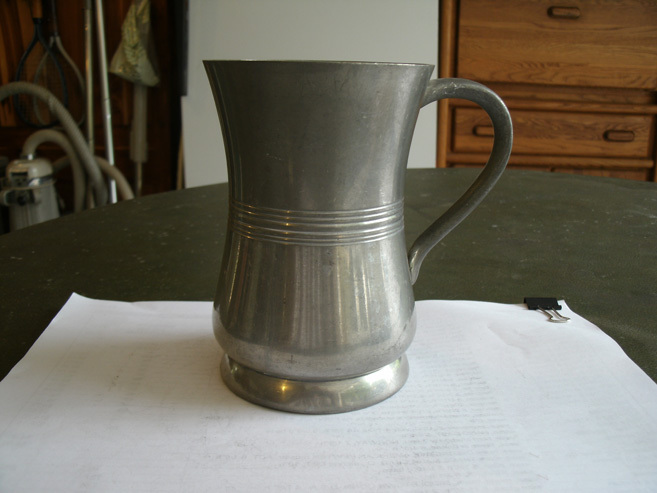 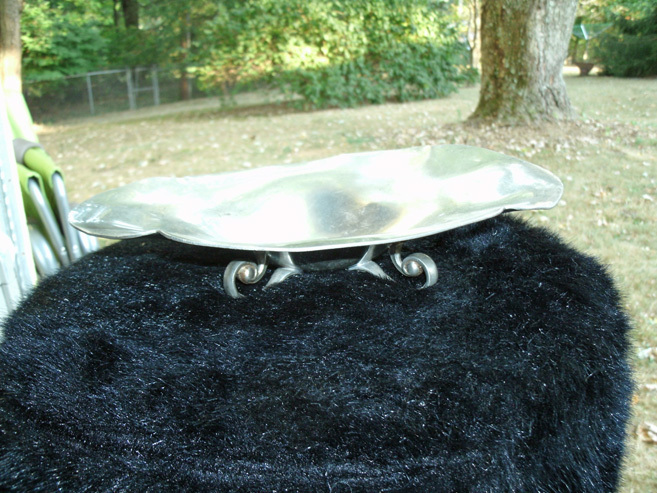 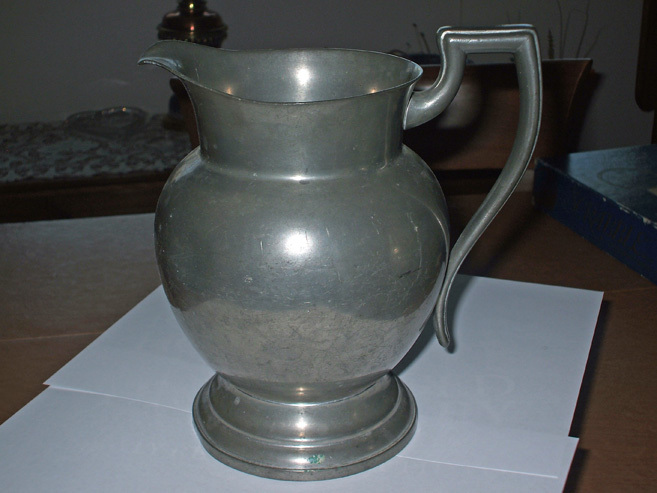 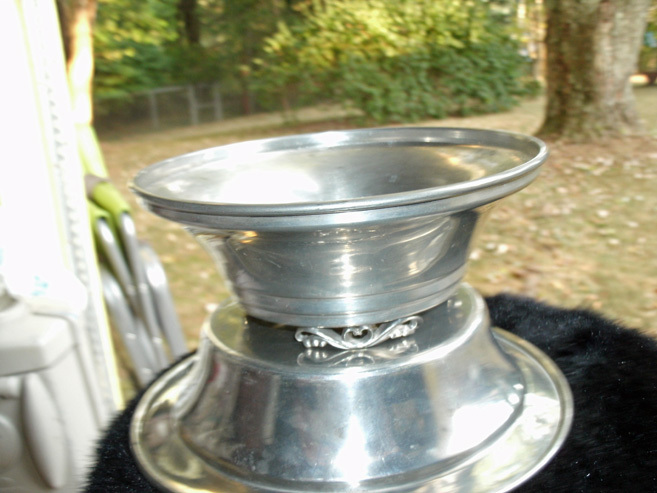 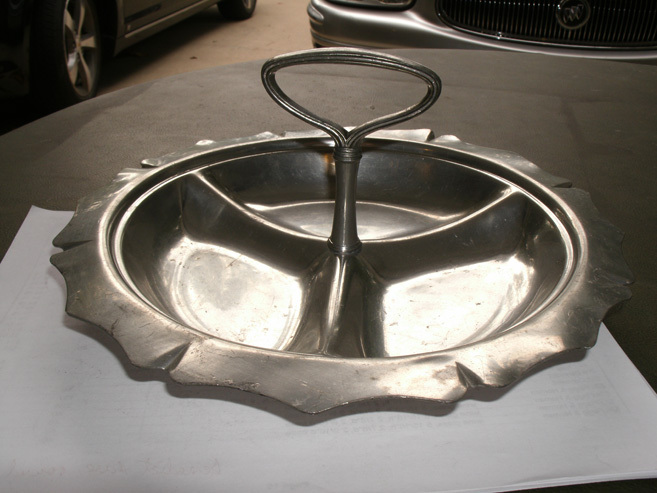 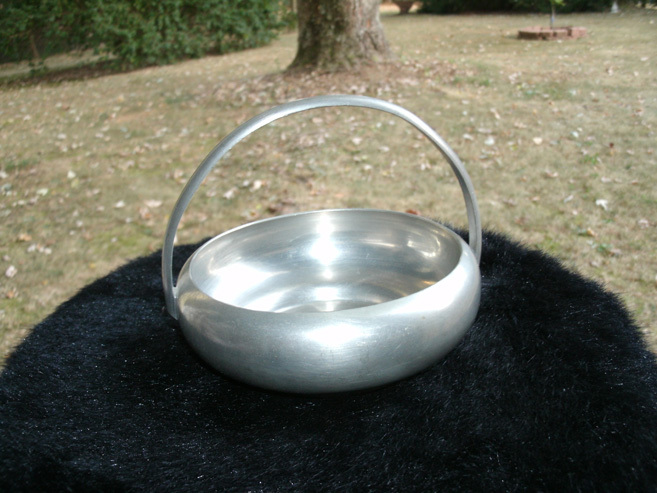 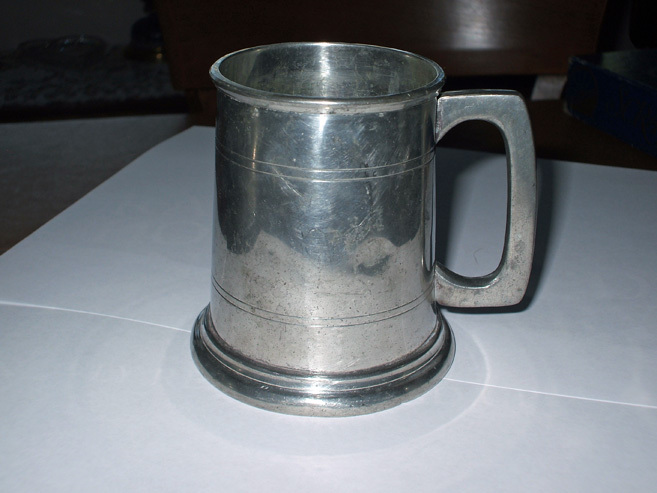 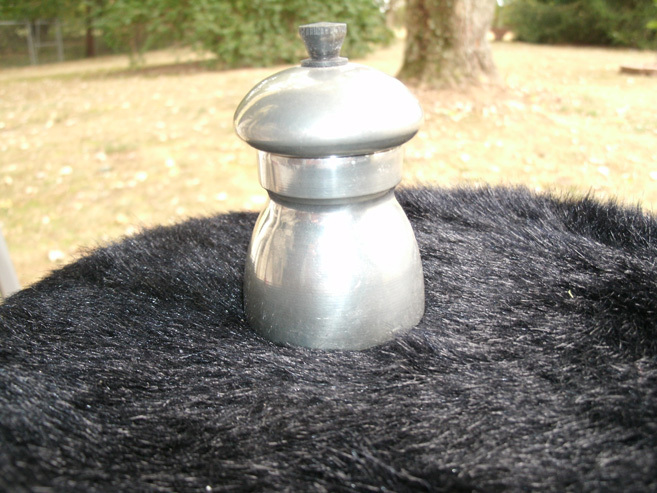 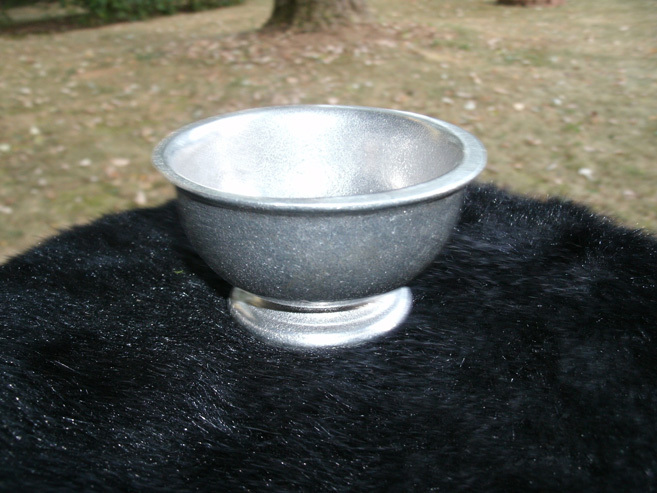 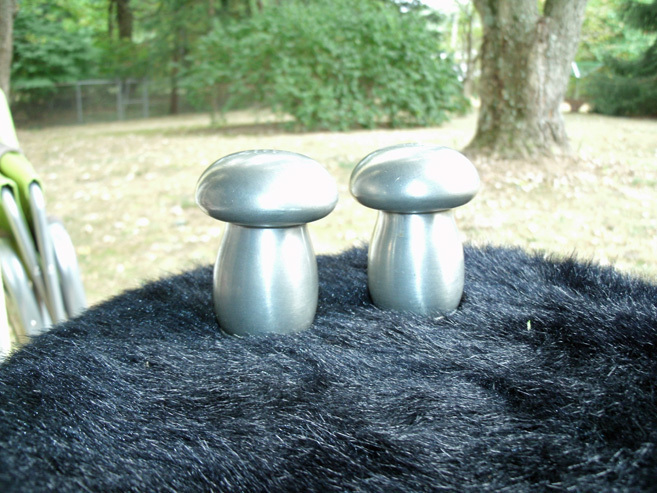 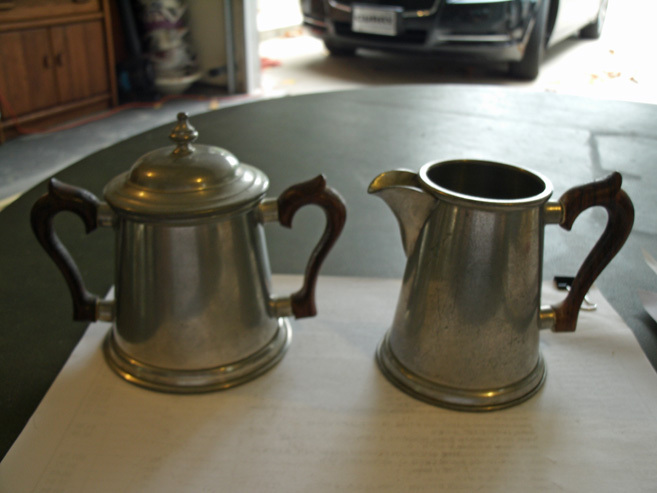 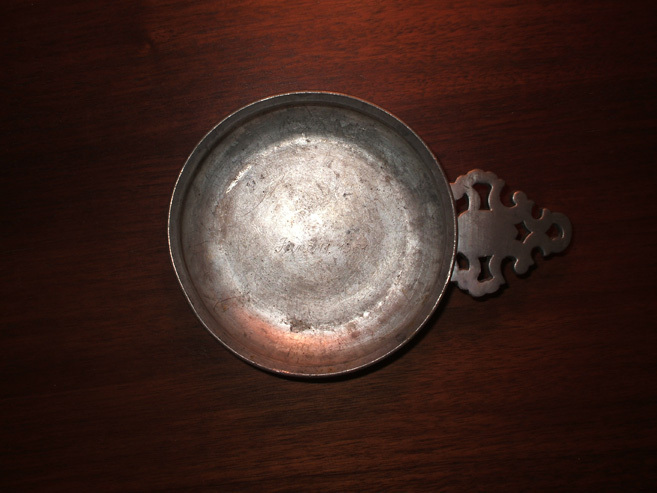 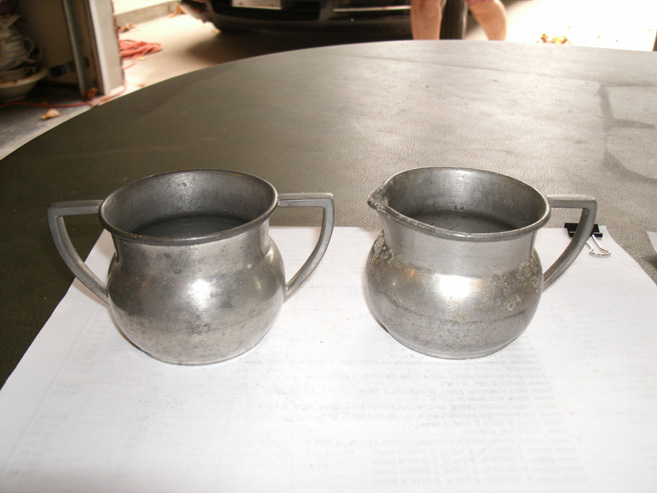 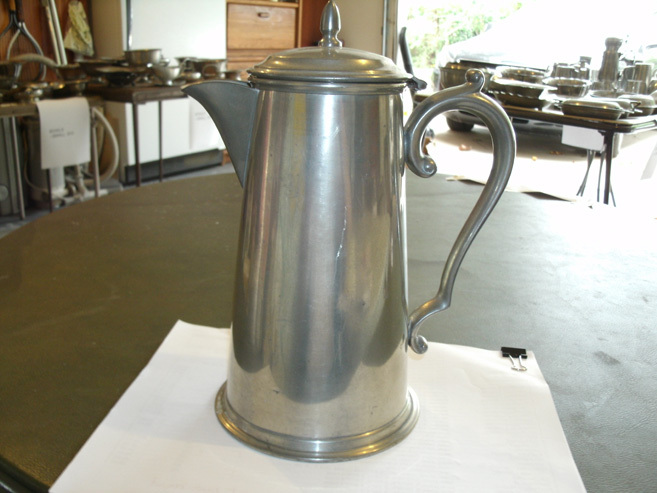 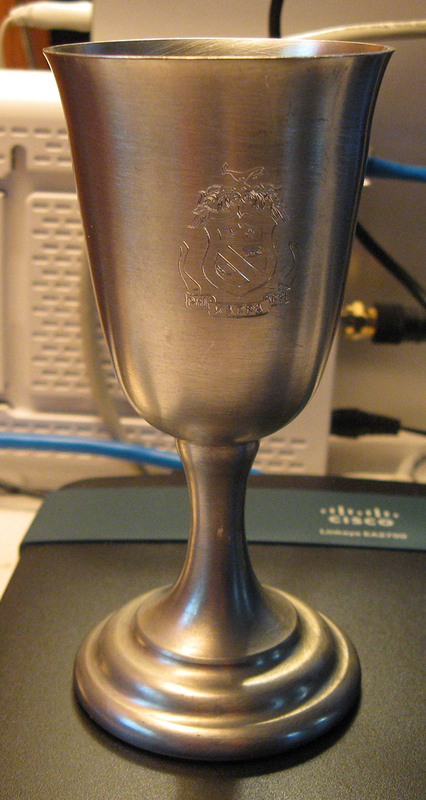 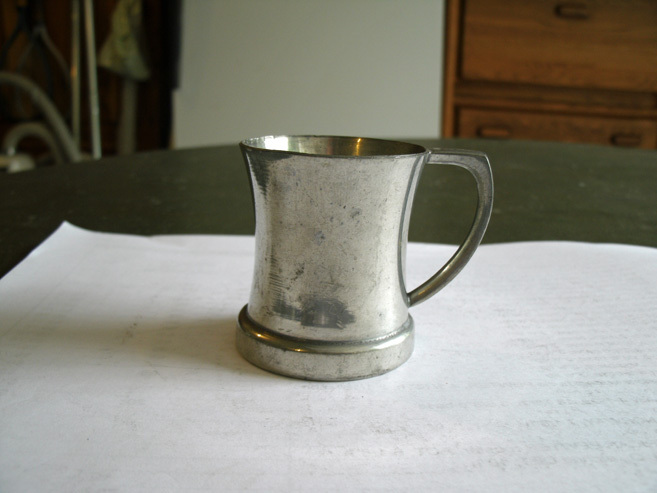 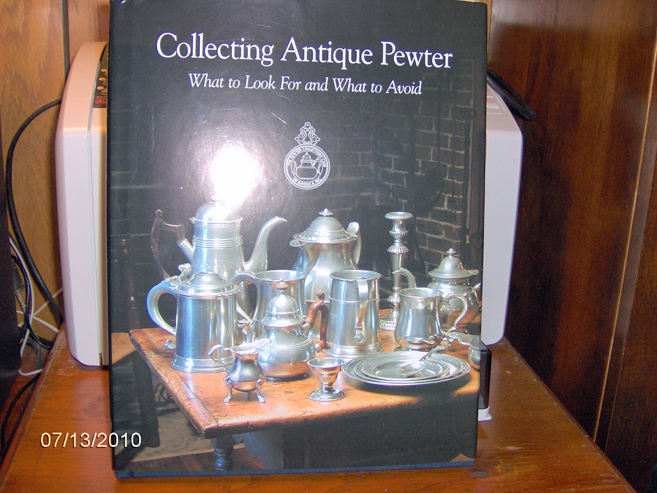 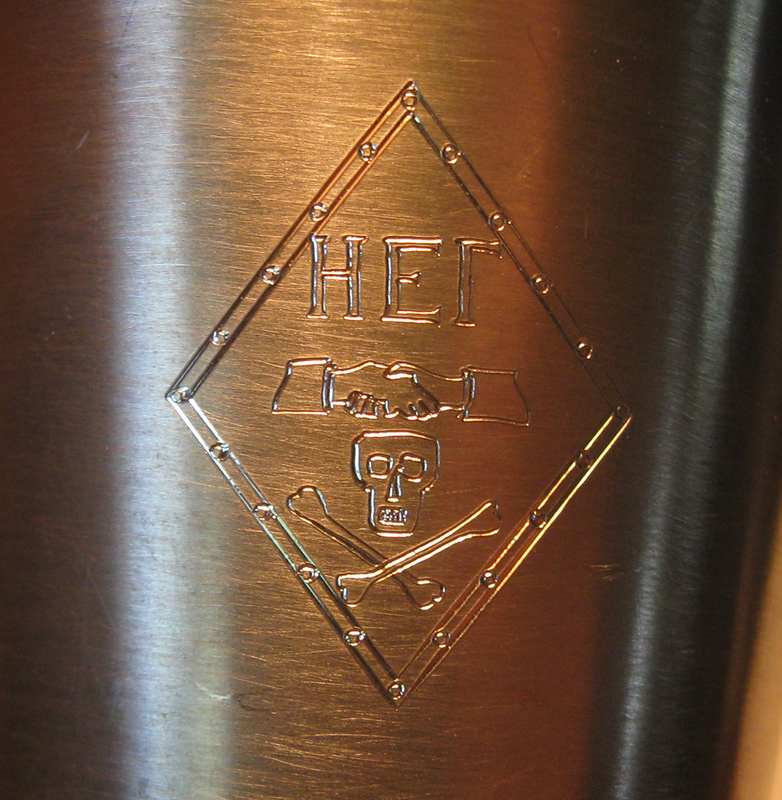 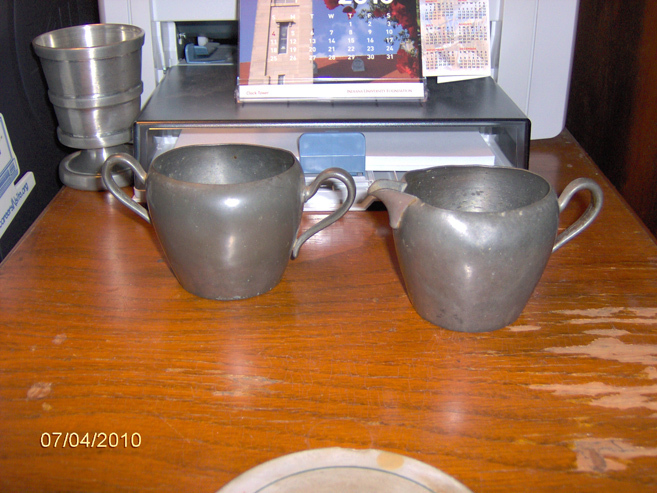 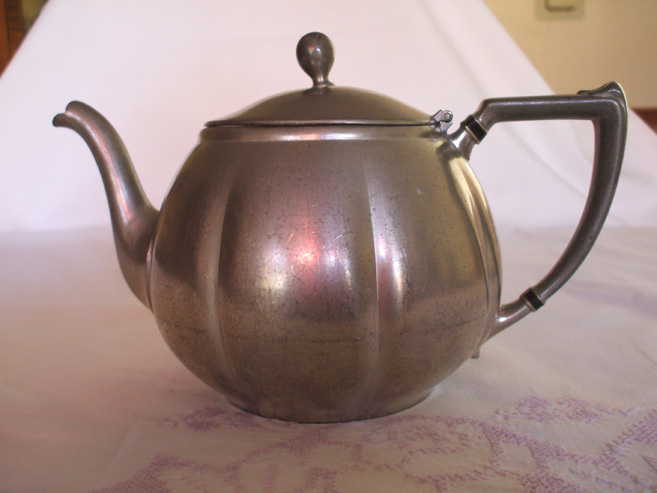 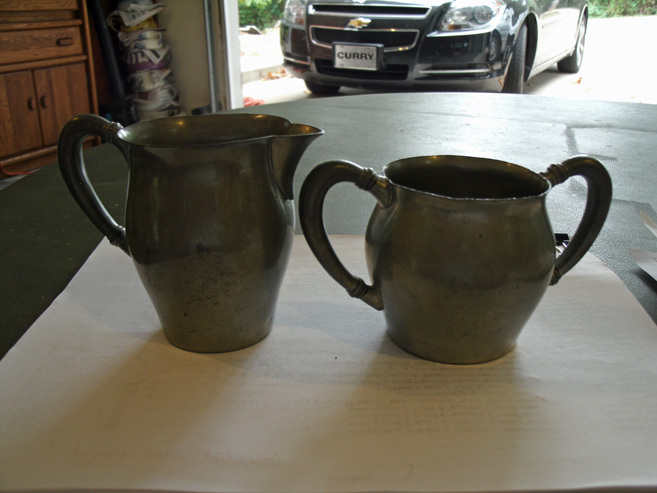 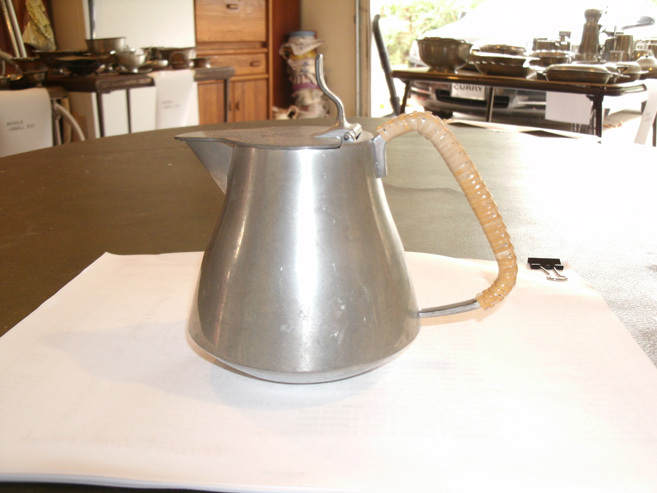 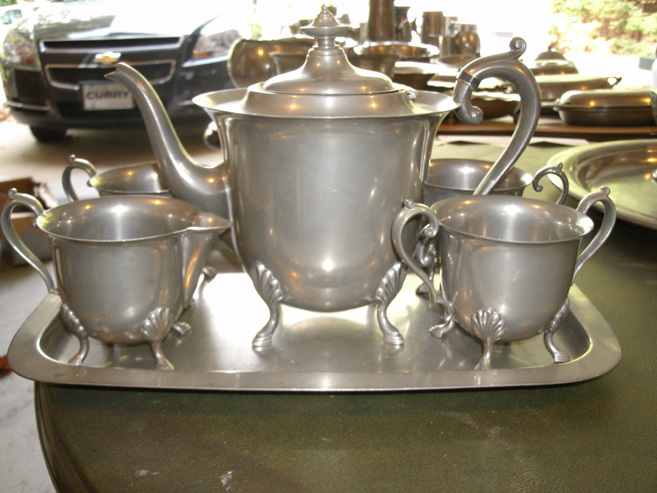 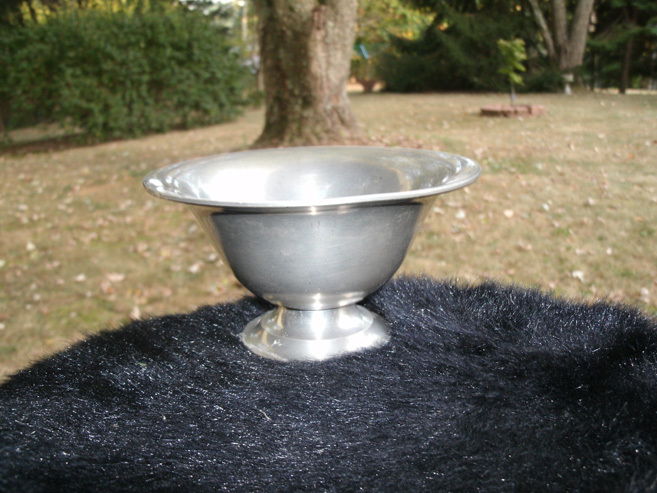 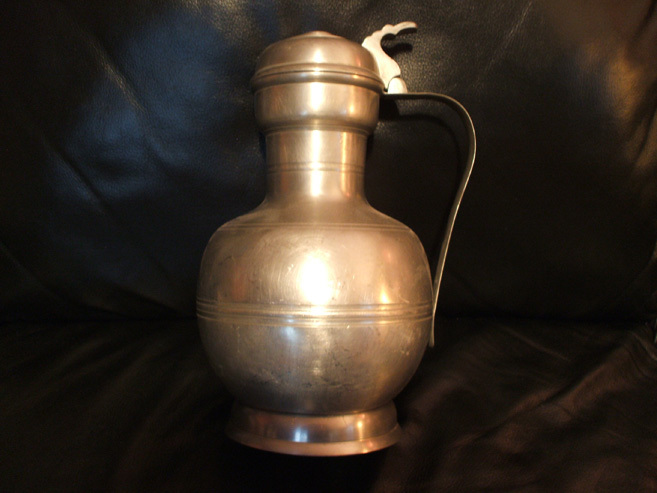 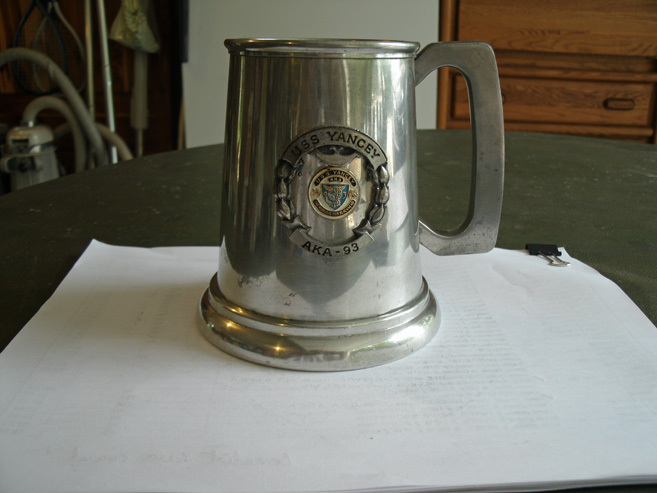 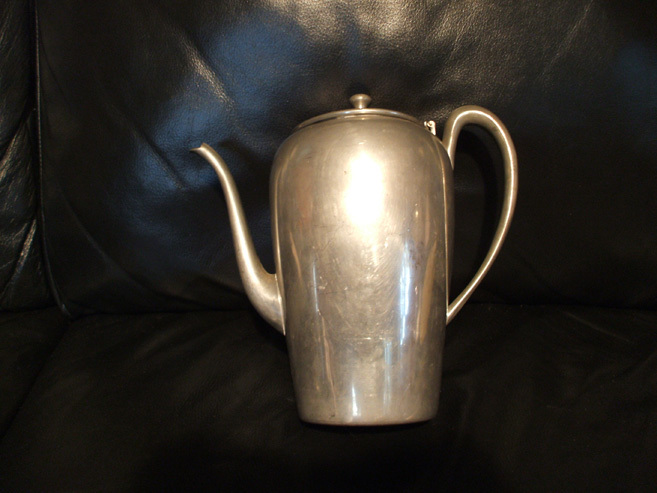 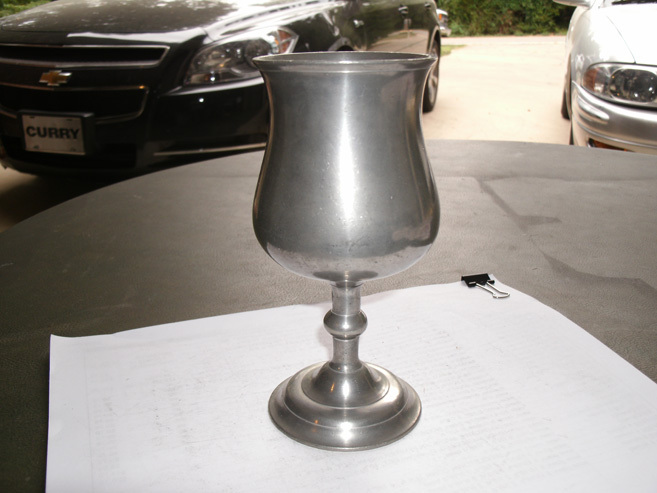 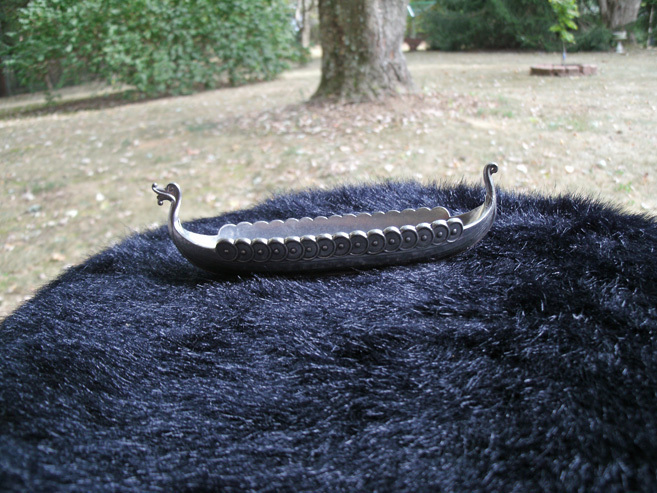 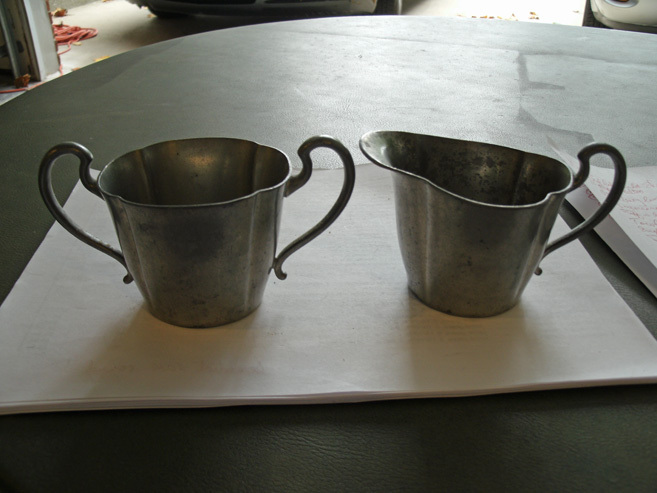 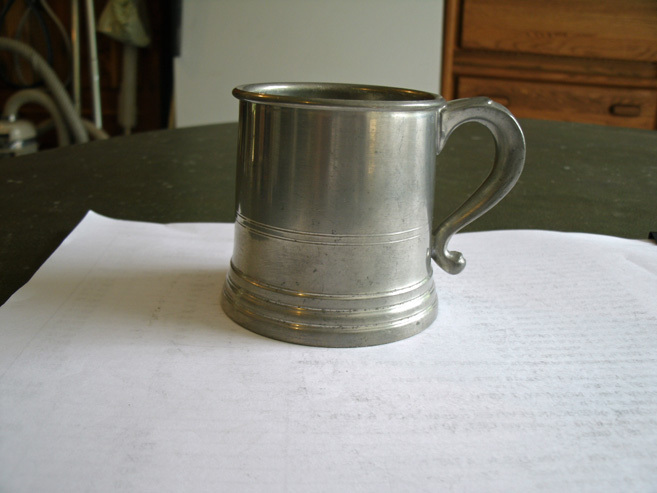 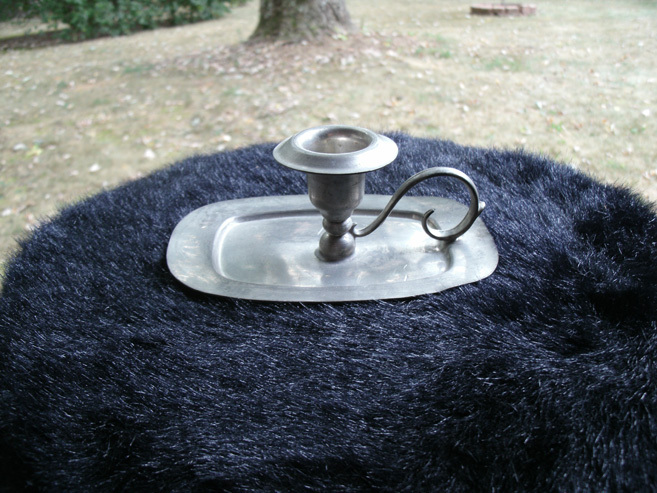 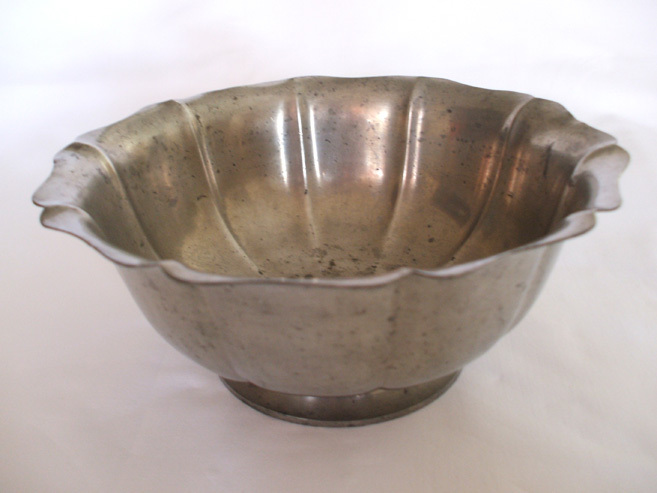 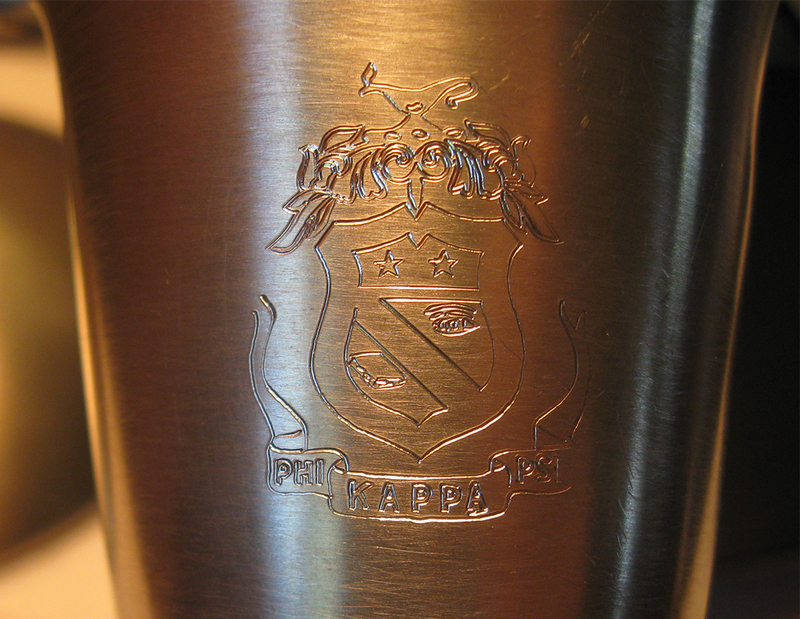 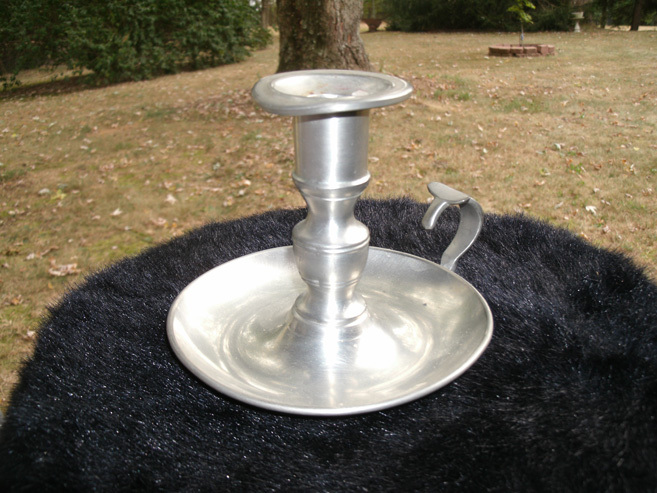 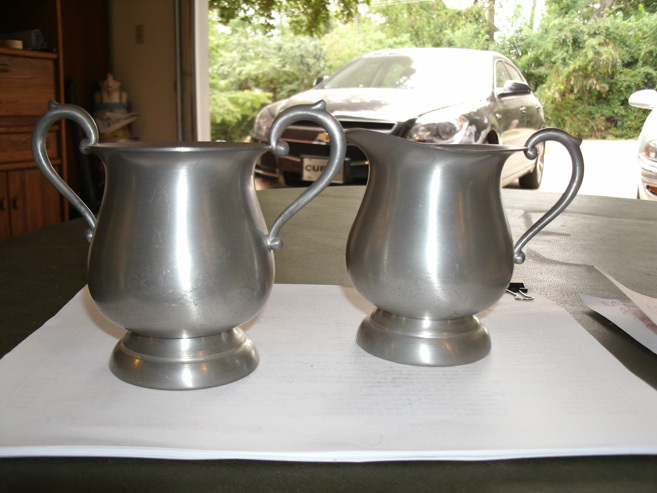 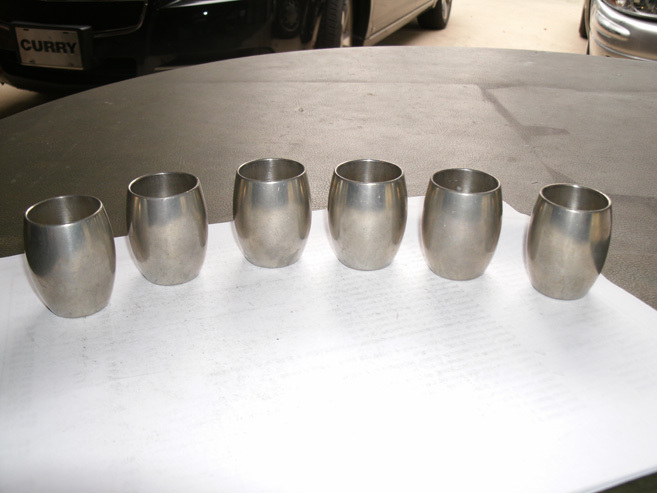 Return to the Hoosier Pewter home page. 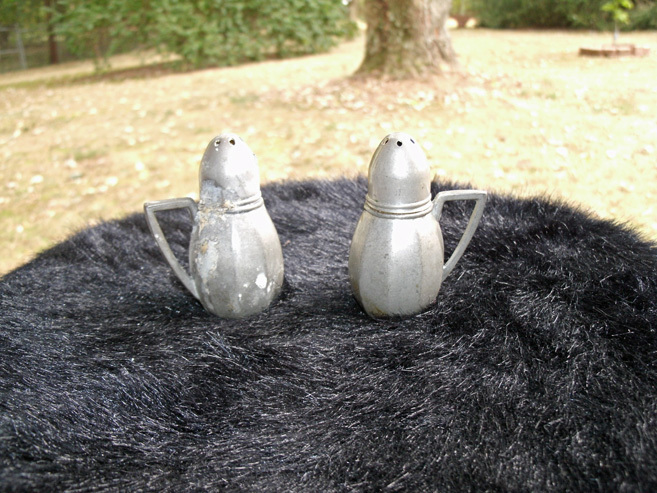 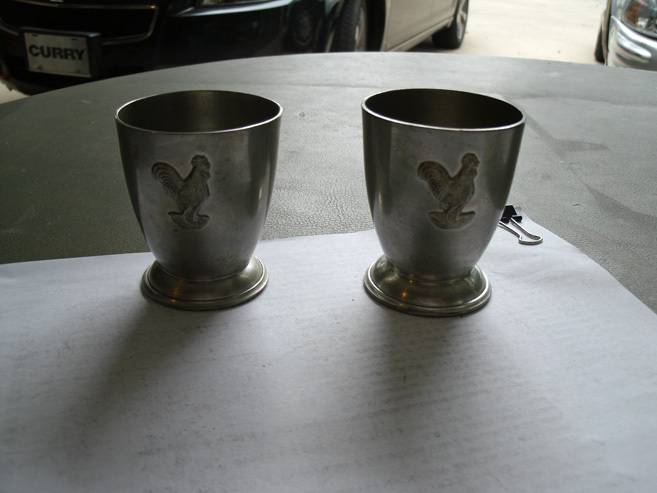 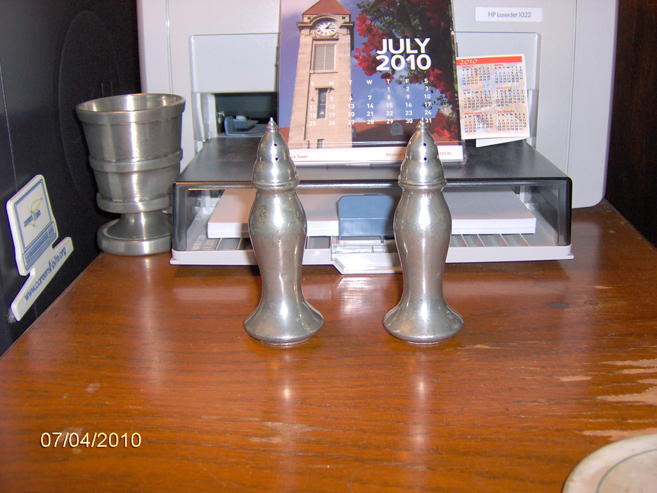 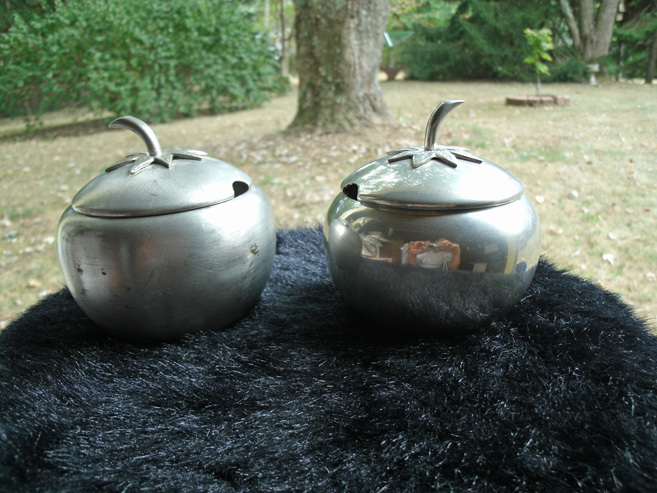 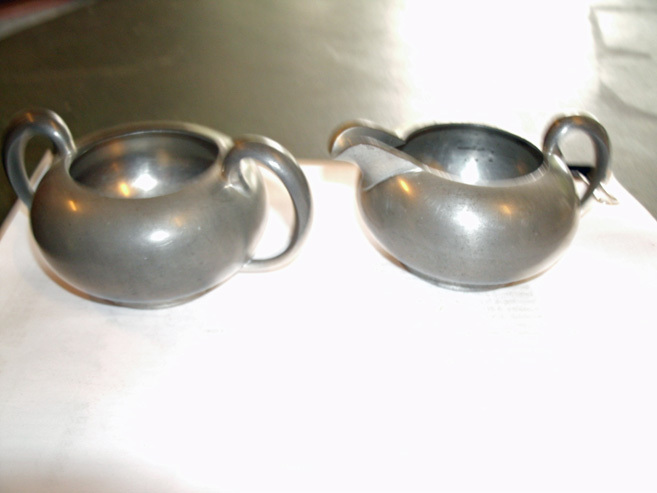 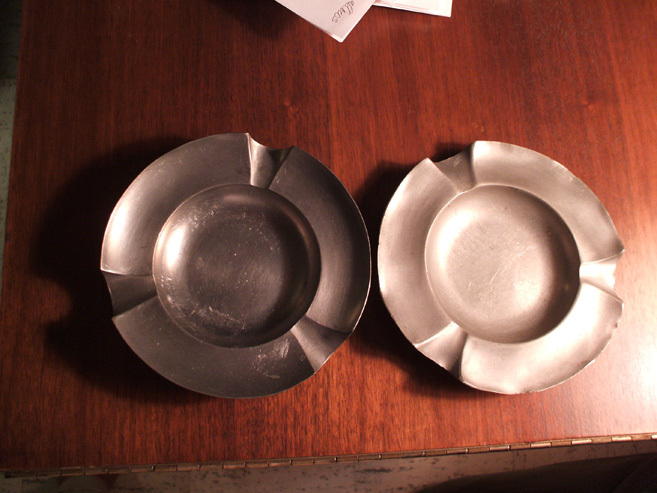 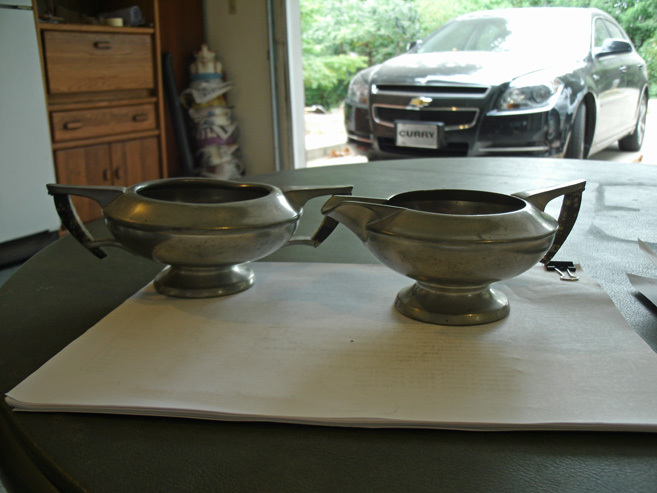 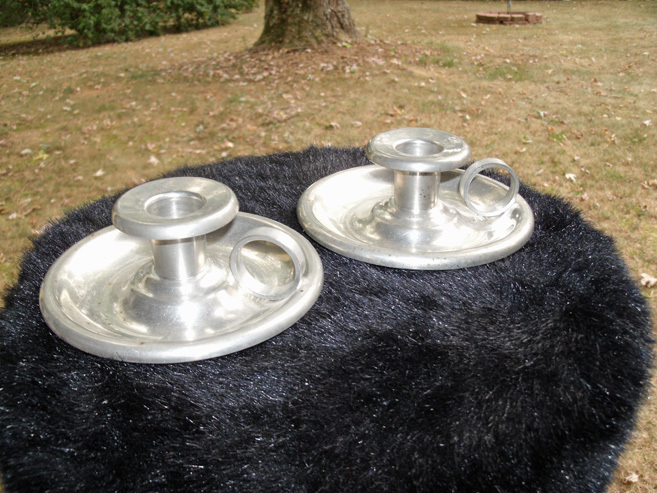 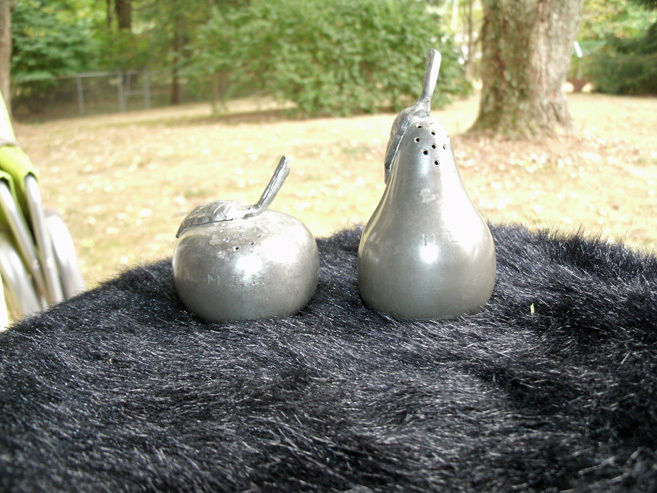 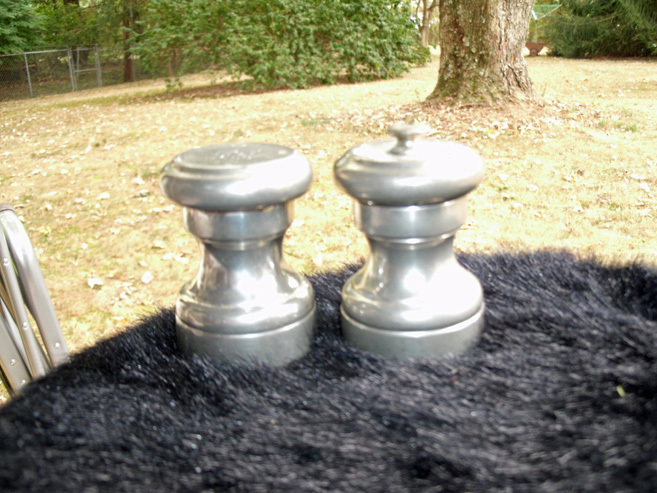 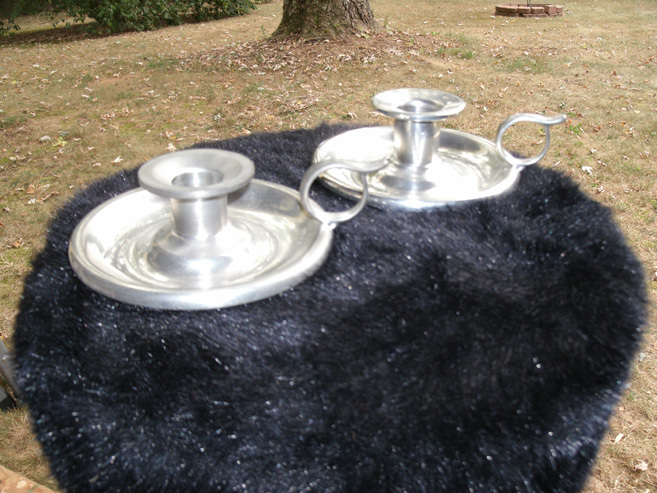 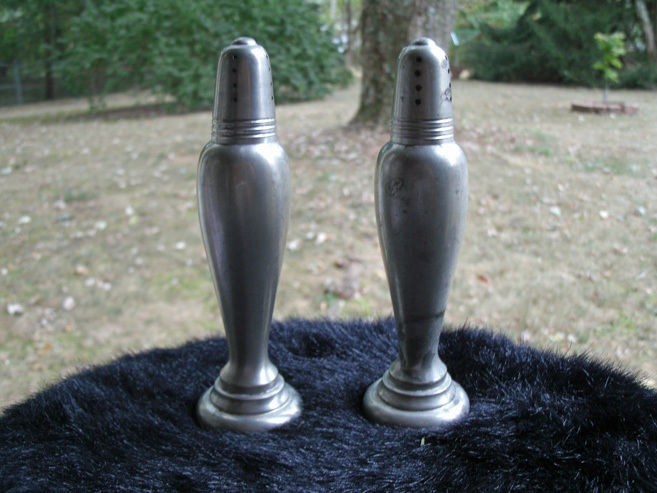 SALT AND PEPPER SHAKERS, CONDIMENT HOLDERS, ETC.